The Jackson County Times, “The Column”, August 19, 1939, p. 4. “selling hand-blocked items”. The Jackson County Times, “The Column”, October 14, 1939, p. 4. “selling hand-blocked linen with Sara Lemon and Elizabeth Bradford”. The Ocean Springs News, “Open camp (art and drama at Oldfields)”, May 30, 1957, p. 7. The Ocean Springs Record, “Three teachers to retire”, May 21, 1970, p. 1. The Ocean Springs Record, “Window of Hope (a poem)”, August 13, 1970, p. 1. The Ocean Springs Record, "Mrs. Anderson speaks at Beta Club meeting", August 16, 1973, p. 6. The Ocean Springs Record, “Trunk of Anderson paintings found”, October 1, 1987, p. 1. The Ocean Springs Record, “June Publication Set For Anderson Book”, January 12, 1989, p. 1. The Ocean Springs Record, “Approaching the Magic Hour-the story of a book”, January 12, 1989, p. 1. The Ocean Springs Record, “Private world of great artist seen in widow’s memoir”, June 22, 1989, p. 2. The Mississippi Press, “Sissy Anderson earns place in history”, March 8, 1991, p. 1-A. The Sun Herald, “Agnes ‘Sissy’ Anderson dies”, August 16, 1991. The Daily Herald, "Coast Art Association", May 11, 1931, p. 2. The Daily Herald, “Mrs. Annette Anderson (obit)”, January 27,1964, p. 2. The Daily Herald, “Attend Funeral”, January 31, 1964, p. 18. The Gulf Coast Times, “Receives Second Degree From University”, June 9, 1950, p. 1. The Gulf Coast Times, “Anderson family barbeque honoring Lemon family”, May 3, 1951, p. 7. The Jackson County Times, “Local and Personal”, January 13, 1923. 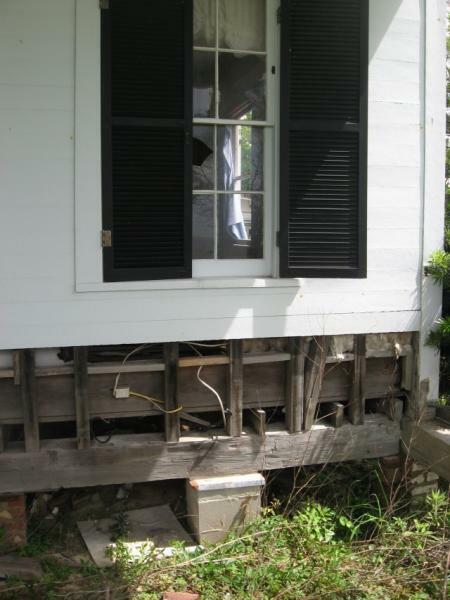 “The home of Mrs. Walter Anderson on the beach was seriously threatened by fire last Tuesday. The fire department was quickly on the scene however and saved the main structure, but the kitchen was burned to the ground”. The Jackson County Times, “Ocean Springs To Be Art Center of Coast”, April 24, 1926, p. 1. The Jackson County Times, “Art Colony Established At Ocean Springs”, May 29, 1926, p. 3. The Jackson County Times, “Organization of Little Theatre Guild in Ocean Springs”, July 28, 1934, p. 3. The Ocean Springs News, "Mrs. Annette Anderson [obit]", January 29, 1964, p. 1. The Ocean Springs Record, “Exhibit Art Works of Mrs. George W. Anderson”, October 2, 1969, p. 11. The Ocean Springs Record, “Anderson women exhibit to open in WAMA", May 15, 2008, p. B5. The Ocean Springs Record, “Chamber [of Commerce] honors Annette McConnell Anderson", November 3, 2008, p. B4. The States-Item [NOLA], "Lagniappe", 'The Andersons of Ocean Springs', July 5, 1975. The Jackson County Times, “Local and Personal”, June 8, 1927. “There is a great deal of rivalry between our aspiring golf stars Dr. H.B. Powell, S.C. Spencer, G.W. Anderson, and Chester “Walter” Davis”. The Jackson County Times, “G.W. Anderson (obituary)”, February 27, 1937. The History of Jackson County, Mississippi, (1989), “James McConnell Anderson”, p. 110. The Jackson County Times, “Local and Personal”, September 28, 1940, p. 4. “wife had operation at NOLA”, probably an appendectomy. The Ocean Springs Record, “Artist Series-The Andersons”, July 24, 1969, p. 2. The Sun Herald, "Sara Kirkptrick Lemon Anderson", March 12, 2007, p. A4. The Sun Herald, "Sara, Mac together again on the pottery", March 13, 2007, p. A4. The Mississippi Press, "River scene preserved in hospital renovation", June 6, 1979, p. 5A. The Ocean Springs Record, “Anderson tile murals restoration completed”, July 5, 1979, p. 1. The Ocean Springs Record, “Design artist picked”, January 19, 1989, p. 1. The Ocean Springs Record, “New Community Center Mosaic”, March 23, 1989, p. 1. The Ocean Springs Record, “Mosaic in place”, June 15, 1989, p. 1. The Ocean Springs Record, “Mosaic”, August 3, 1989, p. 1. The Sun Herald, "Art restored [Singing River]", June 19, 1999, p. 1. The Sun Herald, "Two cities vie for Mac Anderson mural [Singing River]", December 4, 2008, p. A7. The Sun Herald, "Supervisors want mural [Singing River]", May 27, 2009, p. A2. The Ocean Springs Record, “Mac Murals [Singing River] headed back to Courthouse”, June 4, 2009, p. 3. The Sun Herald, "Anderson murals [Singing River] moving back to courthouse", July 16, 2009, p. A1. The Sun Herald, "Murals [Singing River] on the move", July 25, 2009, p. A2. The Ocean Springs News, “Art Exhibit Set For Sunday”, February 11, 1965, p. 4. The Ocean Springs Record, “Mac Anderson to Show Original Works”, February 10. 1972, p. 5. The Ocean Springs Record, “Art Works of Mac Anderson Featured at Anderson Museum”, January 9, 1992, p. 13. WAMA, “A Retrospective Exhibit”, January 11, 1992 to February 27, 1992. The Ocean Springs Record, "Centennial birthday exhibition celebrates 'Mac' Anderson", October 4, 2007, p. B4. WAMA, "An Introspective Mind: The 'Mac' Anderson Centennial Exhibition", September 27, 2007 to January 13, 2008. The Sun Herald, "Mac gets his moment", October 30, 2007, p. B8. The Ocean Springs Gazette-Record, 'Legacy of Shearwater Pottery celebrated', September 6, 2018. The Ocean Springs Record, "Mr. and Mrs. William Walter Anderson (photo)", May 14, 1964, p. 2. The Ocean Springs Record, "Legacy in ink [Carolyn Fournier Anderson]", March 2, 2006, p. B4. The Ocean Springs Record, “Anderson women [Carolyn Fournier Anderson] exhibit to open in WAMA", May 15, 2008, p. B5. The Sun Herald, “Anderson Children All Remain Close To Home”, April 9, 1995. The Sun Herald, “Horn Island-beginning at the vanishing point”, September 24, 2000, p. H-6. [from The Southern Register, Spring 2009, (The University of Mississippi: Oxford, Mississippi-2009), image by Doug McLain. Leif Anderson, Dancing With My Father, (University Press of Mississippi-Jackson, Mississippi-2005). The Ocean Springs News, “Ramblings”, September 3, 1964, p. 1. “Will perform at the Martha Graham studio in NYC. She has been a pupil of Leila Haller in NOLA for the past two years”. The Bay Press, “Featured Artist: Leif Anderson”, February 13, 2004, p. 2. The Ocean Springs Record, "Christmas Concert” (photo), December 25, 1975, p. 2. The Ocean Springs Record, “Dancer” (photo), July 8, 1976, p. 5. The Ocean Springs Record, “Dance concert to feature Leif Anderson", May 31, 1979, p. 3. The Ocean Springs Record, “She dances to music of nature”, June 30, 1983, p. 7. The Ocean Springs Record, “Leif Anderson to present ‘Airth Movement’ technique", December 1, 1983, p. 7. The Ocean Springs Record, “Leif Anderson performs at OS Day, Worlds Fair", September 13, 1984, p. 15. The Ocean Springs Record, "Leif Anderson dances [photo]”, February 18, 1988, p. 2. The Ocean Springs Record, "Anderson to dance”, June 15, 1989, p. 6. The Ocean Springs Record, “Life dance tickets on sale at WAMA”, June 25, 1984?, p. 6. The Ocean Springs Record, “Many literary gems await discovery”, August 4, 1994, p. 6. The Ocean Springs Record, “Anderson to perform ['Merged by Love' and photo], April 3, 1997, p. 6. 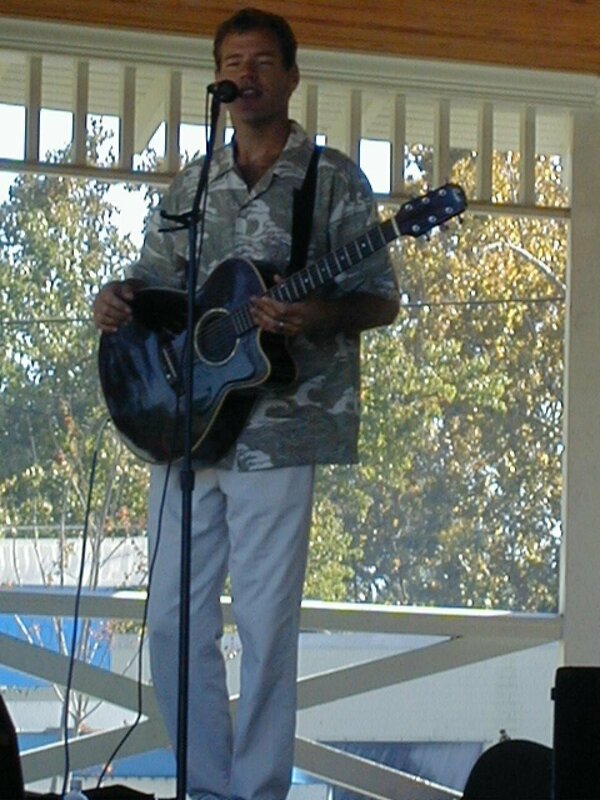 The Ocean Springs Record, “Leif Anderson slated to perform at WAMA”, October 31, 2002, p. A-2. 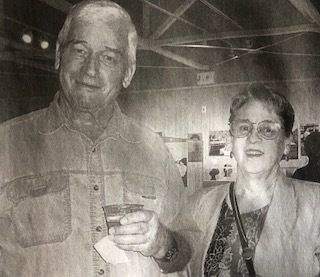 The Ocean Springs Record, “Reminiscing”, (photo of Leif, Mary, and Adele A. Lawton). The Ocean Springs Record, "Bookwork", (photo), April 14, 2005, p. A1. The Ocean Springs Record, "Post-impressions", April 14, 2005, p. B4. The Ocean Springs Record, "Expert shares humorous aspects of Welty's life", May 4, 2006, p. B6. The Ocean Springs Record, "Leif Anderson to read on Father's Day at WAMA", June 8, 2006, p. B7. The Ocean Springs Record, "Leif Anderson to give performance [Words on the Wing] at WAMA", May 8, 2008, p. B4. The Sun Herald, “The Changing Leif”, April 9, 1995, p. G-1. The Sun Herald, “Art’s daughter to perform at Museum of Art”, September 26, 2004, H3. The Sun Herald, “The art of dance and parenthood”, March 27, 2005, p. H5. The Sun Herald, "Dance honors Anderson's memories of 'Daddy'", April 17, 2005, p. F7. The Gazette, “Sisters-work by Leif Anderson and Mary Anderson Pickard", June 9, 2010, p. 1. The Ocean Springs Record, "Anderson, Pickard merge creative path", June 10, 2010, p. 1. Moira Halsey Anderson married William Carl Miller on November 11, 1993. Two children: olivia Miller and Wyatt Miller. The Ocean Springs Record, 'Anderson-Miller', October 14, 1993. The Gulf Coast Times, “Local Girls Leave For Music School in Vicksburg”, June 12, 1952, p. 1. The Ocean Springs News, “Local Girl in Delta (Delta St. Teachers College) Show”, January 24, 1957, p. 4. The Ocean Springs News, “Woman rescued in near drowning at Inner Harbor”, May 10, 1962, p. 1. The Ocean Springs Record, "Kay Watson and Mary Anderson Stebly held ‘Indian Day Camp’ at the Shearwater Pottery, June 10, 1971, p. 2. The Ocean Springs Record, “Mother-son art show featured at OSYC", April 18, 2002. The Ocean Springs Record, “Anderson family exhibit slated”at William Carey College", August 22, 2002. p. B4. The Ocean Springs Record, “Wildflower personified”, May 15, 2003. p. B6. The Ocean Springs Record, “Paintings of Mary Anderson Pickard on display at son’s Christopher Inglis Stebly Art Gallery”, May 27, 2004, p. B4. The Ocean Springs Record, "Rainforest revisited", April 24, 2008, p. A1. The Ocean Springs Record, "Blue Moon sponsored art contest won by daughter of Walter Anderson", November 11, 2010, p. 1. The Sun Herald, “O.S. artists find fresh views in seclusion”, July 5, 2001, p. B-1. The Sun Herald, “Mom, son to hold art sale in Ocean Springs”, April 21, 2002, p. H-1. The Sun Herald, 'BEFORE and AFTER', “Pickard home at Shearwater", May 10, 2006, p. A12. The Ocean Springs News, “Engaged”, February 12, 1959, p. 8. The Sun Herald, "Historic homes reduced to rubble", October 10, 2005, p. A5. The Sun Herald, "James Edward 'Pete' Ashley [1939-2011]", November 23, 2011, p. A4. The History of Jackson County, Mississippi (1989), “Lewis Sha-Oldfields”, pp. 46-47. The Ocean Springs News, “Open Camp (art and drama summer day camp)”, May 30, 1957, p. 7. The Ocean Springs News, “Old Field’s camp has open house”, June 27, 1957, p. 1. The Ocean Springs Record, “Oldfields Period Featured”, April 26, 1973, p. 8. 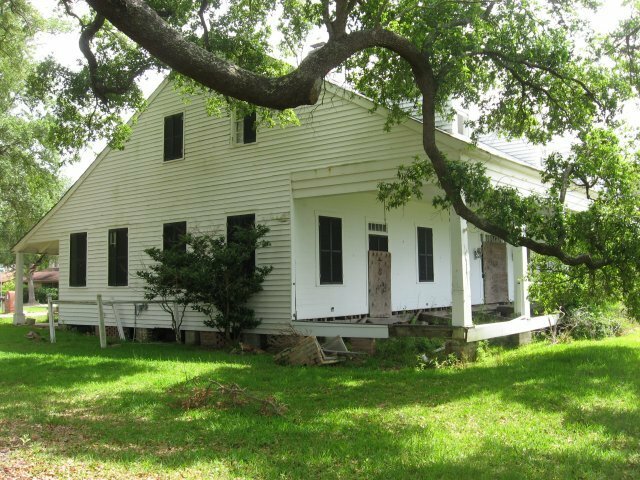 The Ocean Springs Record, “WAMA brings back Walter's 'Oldfields' years”, June 18, 2009, p. 12. The Sun Herald, "Historical designation for Oldfields tabled", April 7, 2010, p. A10. The Gazette, "Silent Traces-What does the future hold for Oldfields", June 2, 2010, p. 1. The Gulf Coast Times, “Anderson Fete Honors Daughter, Husband”, September 6, 1951, p. 1. The Sun Herald, "Mr. William E. Findeisen", September 11, 2011, p. A-12. The Daily Herald, "Pottery Exhibit", January 1, 1929, p. 2. The Gulf Coast Times, “Visitor From England”, June 23, 1950, p. 8. “Guests of Mr. and Mrs. Peter Anderson are Mrs. H.C.A. Mead of Ellicott City, Maryland, Henry Mead of Harvard University and Miss Elizabeth Grey of London, England. Miss Grey just completed four years at Bryn Mawr and will return to England in the near future. She was especially interested in visiting the south before leaving for her home. The Ocean Springs Record, “Peter Anderson in art festival at Jackson Saturday”, April 27, 1967, p. 1. The Ocean Springs Record, “Anderson receives ceramic award [Fred Award given by Popular Ceramics]", October 10, 1968, p. 1. The Ocean Springs Record, “Potter’s legacy reflects on town this weekend”, November 1, 2001, p. 1. The States-Item [NOLA], "Lagniappe", 'The Andersons of Ocean Springs', July 5, 1975.The Sun Herald, "Memories among the debris", November 1, 2005, p. B-1. The Sun Herald, "Pottery just one attraction [photo]", October 28, 2007, p. A3. The Times Picayune, "Immersed in Art", Section D, February 6, 2000, p. D1. The Gulf Coast Times, "Mike Anderson, sister Marjie are honored at party", March 1, 1952, p. 5. 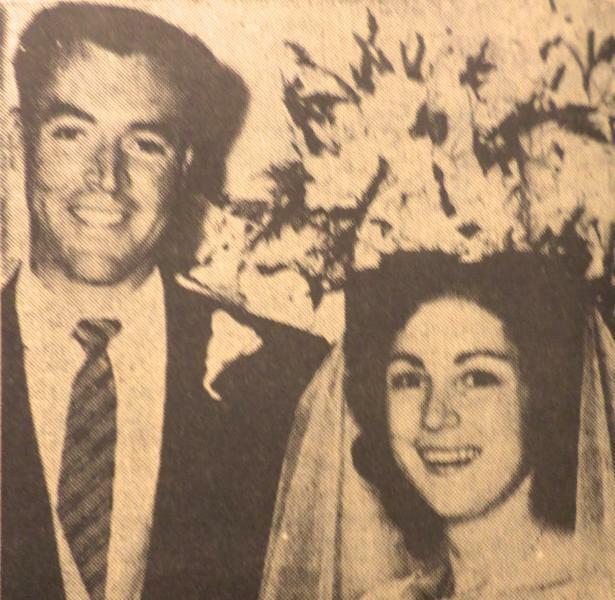 The Ocean Springs News, “married Eunice Talbert at the Ravenswood Baptist Church in Chicago. He is employed at the Chicago Natural History Museum”, August 6, 1964. The Ocean Springs Record, “Shearwater source of artful life for Annex manager”, April 29, 2004, p. B4. The Bay Press, "Featured artist: Jim Anderson", November 4, 2005, p. 11. Garden & Gun, "Shear Beauty", June-July 2009, pp. 40-41. The History of Jackson County, Mississippi (1989), “Shearwater Pottery and the Andersons”, pp. 65-66. Coastal Living, “Living Legacy”, Volume 6, No. 2, March-April 2002, p. 50. Down South, "Shearwater: Fifty years of imaginative pottery", Volume 28, No. 4, July-August 1978, pp. 3-8. 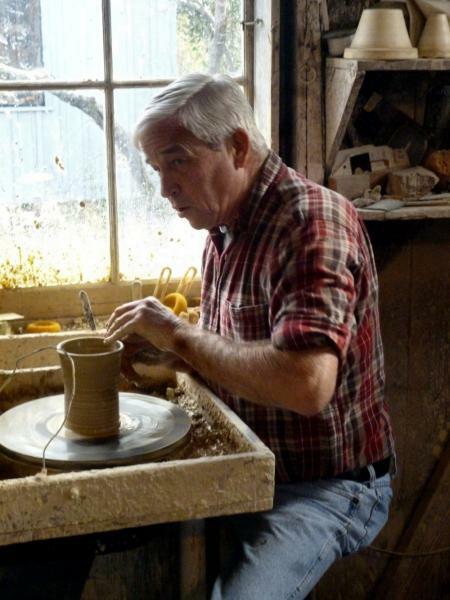 The Journal: American Art Pottery Association, "AAPA gives $3500 to Shearwater Pottery", Vol. 22, No. 3, May/June 2006, p. 24. The Bay Press, "Featured Artist: Jim Anderson", November 11, 2005, p. 11. The Bay Press, "Shearwater auction part of successful festival", November 11, 2005, p. 18. The Daily Herald, "Rotary endorses Shearwater Crafts, Inc.", October 1, 1948. The Daily Herald, "Tulane class to study Shearwater Crafts, Inc. needs", November 15, 1948. The Daily Herald, "Shearwater Pottery to celebrate anniversary", October 29, 1978. The Houston Post, “Spring Season Opens at Art Museum Today”, March 1, 1931. The Jackson County Times, “Shearwater Pottery Showroom Open Week of 12th to 17th”, August 10, 1929, p. 3. The Jackson County Times, “Rotary Club Visits Shearwater Pottery”, November 9, 1929, p. 3. The Jackson County Times, "Shearwater plan given Rotary OK", October 1, 1948, p. 1. The Mississippi Press, "Peter Anderson Festival add New Orleans traditions", September 28, 2005, p. 1-A. 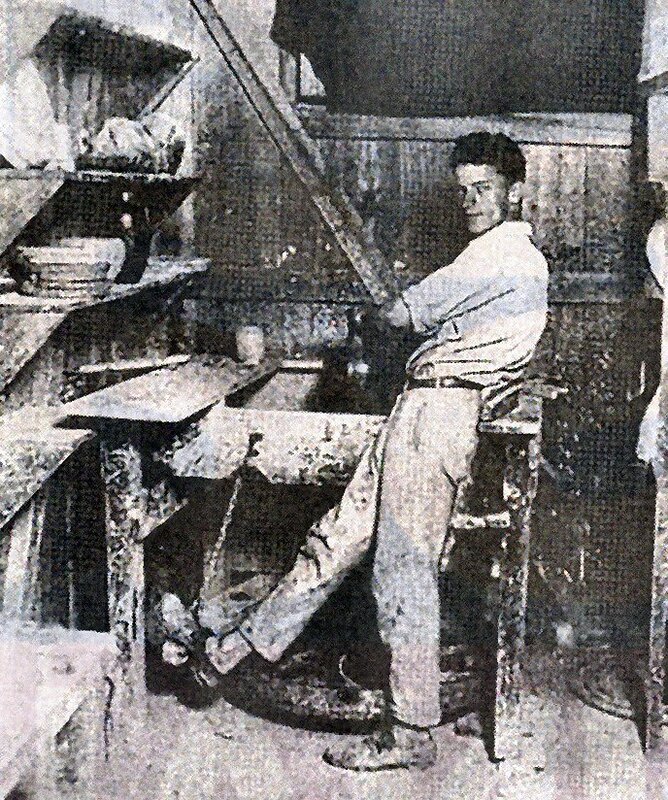 The Ocean Springs News, “Christine Engler Etchings Exhibit Being Held at Shearwater Pottery”, February 13, 1958, p. 5. The Ocean Springs Record, “17 artists at Shearwater workshop”, October 29, 1970, p. 1. The Ocean Springs Record, “17 artists at Shearwater workshop”, November 5, 1970, p. 1. The Ocean Springs Record, “LaFont Workshop photo of Mrs. Peter Anderson”, January 21, 1971. The Ocean Springs Record, “LaFont Art workshop schedules Shearwater Session”, October 21, 1971, p. 6. The Ocean Springs Record, “LaFont Workshop has Shearwater Session [7th annual Shearwater Pottery sculpture and ceramics workshop]”, November 4, 1971, p. 2. The Ocean Springs Record, “LaFont Workshop features Shearwater”, November 1, 1973, p. 3. The Ocean Springs Record, “LaFont Exhibit features Anderson, Stewart”, March 11, 1976, p. 9. The Ocean Springs Record, “Shearwater celebration [50th anniversary]to include reception", October 26, 1978, p. 1. The Ocean Springs Record, “Shearwater Exhibit (at Old State Capitol Museum) Extended Through July 1st”, June 21, 1979, p. 2. The Ocean Springs Record, “LaFont art workshop to be held on Ocean Springs”, October 27, 1983, p. 7. The Ocean Springs Record, “Shearwater limited ceramics at crafts fair”, November 3, 1988, p. 2. The Ocean Springs Record, “Rare Shearwater Pottery on Exhibit”, November 2, 1989, p. 2. The Ocean Springs Record, “Book Review"- New book on a family and Shearwater not to be missed”, October 26, 2000, p. 16. The Ocean Springs Record, "It's a wreck, but it's still Shearwater", September 22, 2005, p. A1. The Ocean Springs Record, "Shearwater finds home at Mary C.", September 22, 2005, p. A1. The Ocean Springs Record, "Recovering, reconnecting", November 10, 2005, p. B4. The Ocean Springs Record, "Shearwater opens to eager collectors", December 22, 2005, B5. The Ocean Springs Record, "Post impressions", December 22, 2005, p. B4. The Ocean Springs Record, "Couple [Dr. Christopher D. Hogan and Kristen Hogan] shares extensive Anderson collection", January 12, 2006, p. B5. The Ocean Springs Record, "The Annex returns to Shearwater Pottery", October 5, 2006, p. B-7. The Ocean Springs Record, "Showroom returns to Shearwater Pottery", March 15, 2007, p. B-7. The Ocean Springs Record, "Reopening [photo]", March 15, 2007, p. A-1. The Ocean Springs Record, "Like a Phoenix, Shearwater returned in spite of Katrina-celebrating 80 years", August 28, 2008, p. B4. The Ocean Springs Record, "WAMA features Shearwater at 80", September 11, 2008, p. B1. 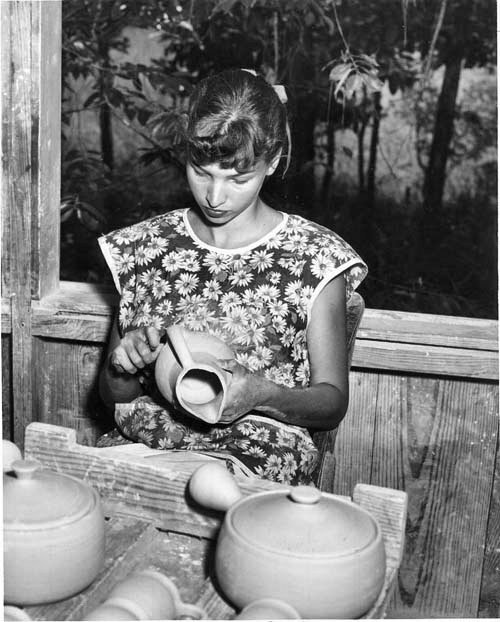 The Pascagoula Chronicle-Star, “Shearwater Pottery Is Small But Important Part Of County’s Culture”, July 6, 1945, p. 2, Section 2. The Sun Herald, “Art of being an Anderson”, October 29, 2000, p. G-7. The Sun Herald, “Little vase leads authors to write book”, October 29, 2000, p. G-7. The Sun Herald, “Andersons featured in magazine”, March 8, 2002, p. B-1. The Sun Herald, “Anderson pottery to travel”, November 5, 2002, p. A-1. The Sun Herald, "Katrina will surely alter Shearwater's palette", November 6, 2005, p. B-12. The Sun Herald, "Shearwater is in the business of BEAUTY", July 20, 2008, p. F-1. The Sun Herald, "Celebrating Shearwater", September 21, 2008, p. F1. 1903- Born New Orleans, Orleans Parish, Louisiana on September 29th. 1911-1918-Attended St. John's School at Manlius, New York, 15 miles southeast of Syracuse. 1919-1922-Attended the Manual Training School (Isadore Newman) at New Orleans. 1922-1923-Attended Parsons Institute at New York City. 1924-1928-Attended the Pennsylvania Academy of the Fine Arts at Philadelphia. 1928-Studied in Paris and visited the Paleolithic Age caves in the Dordogne Valley east of Bordeaux as the result of winning the Cresson Award. 1929-Returned to the Pennsylvania Academy of the Fine Arts. 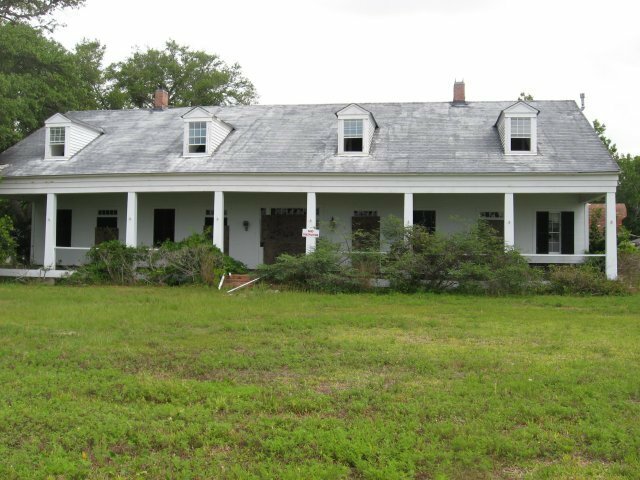 1929-Joined his brothers, Peter and Mac, at Shearwater in Ocean Springs. 1933-Married Agnes Grinstead at St. John's Episcopal Church at Ocean Springs on April 29th. 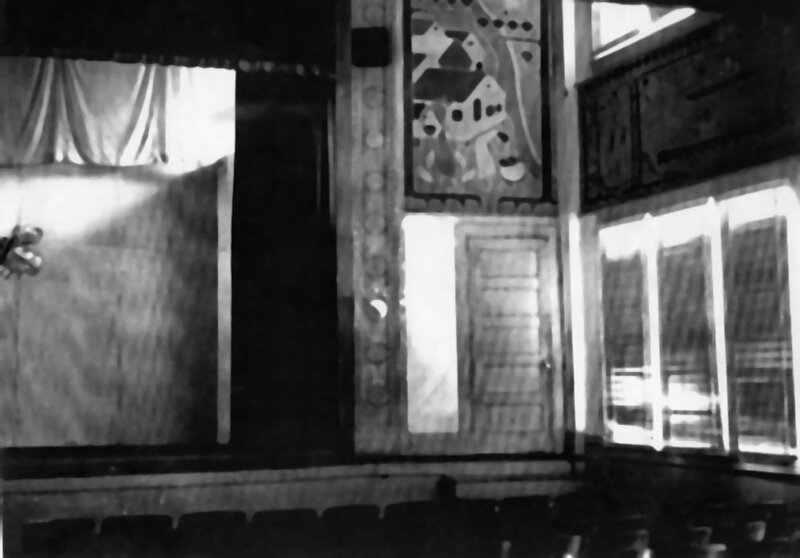 1935-Painted murals in auditorium of Ocean Springs High School on a WPA commission. 1937-Admitted to Phipps Clinic at John Hopkins at Baltimore, Maryland for mental disorders. 1937-Daughter, Mary Anderson Stebly Pickard, born at Baltimore. 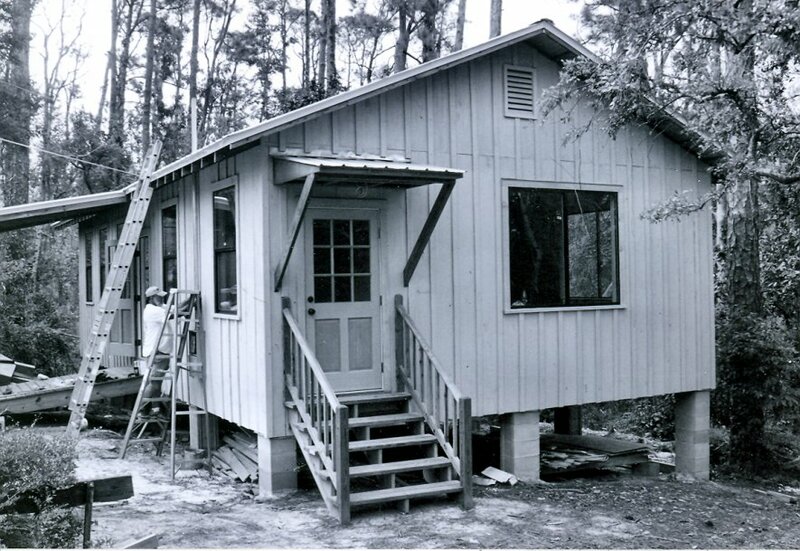 1938-Returned to Shearwater at Ocean Springs. 1939-Son, William "Billy" Anderson, born in October. 1940-Moved to Oldfields on the Sound near Gautier. 1946-Returned to Shearwater and began Horn Island trips. 1947-Son, John Anderson, born in March. 1949-Journeyed to China and got as far west as Chungking. 1951-1952-Painted murals in the Ocean Springs Community Center. 1962-Bit by water moccasin at Horn Island. 1965-Weathered Hurricane Betsy at Horn Island. 1965-Died at New Orleans following surgery for lung cancer on November 30th. 1991-WAMA opened on May 4th. Louis Dollarhide, Of Art and Artists Selected Reviews of the Arts in Mississippi 1955-1976, (University Press of Mississippi: Jackson, Mississippi-1981). The Gulf Coast Times, “Gulf Hills News (Pink Pony Mural)”, July 26, 1951, p. 6. The Ocean Springs News, “Walter Anderson [obituary]”, December 6, 1965, p. 3. The Delta Review, “The Anderson Story, Splendor in Mississippi”, Spring 1967, pp. 41-43. The Bay Press, “Maurer explores the life of Walter Anderson”, July 25, 2003, p. 1. The Chicago Herald Tribune Sunday Magazine, “Artist in the Eye of a Hurricane”, August 17, 1969. The Ocean Springs Record, “The Wonderful World of Walter Anderson”, March 2, 1967 or 1961? The Times Picayune, “Tranquil retreat was lost to island’s secret purpose”, January 3, 1983. The Ocean Springs Record, Walter Anderson art featured in Clarion Ledger”, January 6, 1983, p. 9. The Ocean Springs Record, “Anderson collection installed at Depart of Archives”, December 1, 1983, p. 2. The Daily Herald, “Anderson’s works may stay after fair”, May 14, 1984, p. B-1. The Ocean Springs Record, “Legacy beats as heart of Shearwater”, December 27, 1984, p. 9. The Sun Herald, “Artisans hail Anderson find (117 wallpaper paintings found)”, January 17, 1988. The Sun Herald, “Clothing shop [Realizations] keeps Anderson art alive", June 25, 1988, p. E4. The Ocean Springs Record, “Artist [Glen Miller] objects to Anderson slight”, September 22, 1988, p. 4. 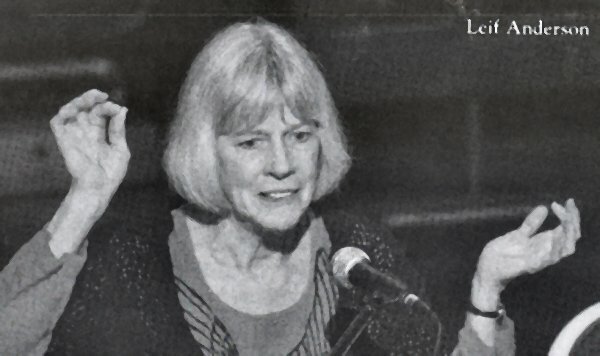 The Ocean Springs Record, “Miller refuted [by Sharon Weber Dodds]-Anderson honored by Art Colony”, September 29, 1988, p. 4. The History of Jackson County, Mississippi, (1989), “Walter ‘Bob’ Anderson”, p. 110. The Ocean Springs Record, “Dali, Anderson comparison is made”, February 23, 1989, p. 2. The Ocean Springs Record, “Anderson article appears in national magazine [Natural History -'Nature of the painter']”, March 8, 1990, p. 2. The Ocean Springs Record, “Anderson Works Discussed (by Mary A. Pickard)”, August 9, 1990, p. 14. The Coast Magazine, “Walter Anderson, A Tribute”, June/July 1991, pp. 91-106. (by Mary Anderson Pickard and Edward Pickard). The Sun Herald, “A symphony of animals”, November 24, 1996, p. F-1. The Sun Herald, “Love of Nature is clear in writings”, November 24, 1996, p. F-1. The Mississippi Press, “Virtual Realizations”, April 16, 2000, pp. B-1 and B-4. The Sun Herald, “Where Walter Walked”. April 22, 2001, p. G-1 and G-6. The Sun Herald, “A Dusti (Bonge) discovery: Late artist’s recently found work is link to Walter Anderson”, August 12, 2001, p. G-1. The Sun Herald, “The World of Walter Anderson”, January 25, 2004, p. H-2. The Gulf Coast Times, “W.I. Anderson is honored at Brooklyn (Museum)”, May 27, 1949, p. 1. The Gulf Coast Times, “Commercial Appeal (Guy Northrop Jr.) Praises work of Local Artist (Brooks Memorial Art Gallery-Memphis)”, September 22, 1950, p. 1. The Gulf Coast Times, “Planters Club to sponsor Anderson art exhibit here", January 12, 1951, p. 1. The Gulf Coast Times, “Anderson art exhibit to demand wide attention”, January 26, 1951, p. 1. The Gulf Coast Times, “Anderson Exhibit attracts many out of town visitors”, February 1, 1951, p. 1. The Gulf Coast Times, “Anderson Exhibit draws crowd from many parts”, February 8, 1951, p. 8. 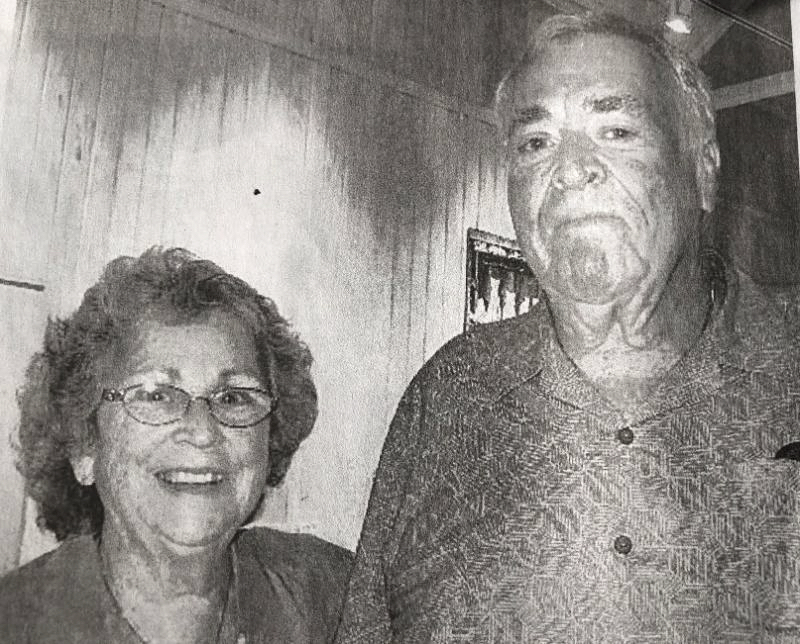 The Gulf Coast Times, “Anderson Dinner Honors Mr. and Mrs. Guy Northrop”, June 14, 1951, p. 9. The Gulf Coast Times, “Walter Anderson Exhibit at Jackson to tour entire country”, November 8, 1951, p. 5. The Gulf Coast Times, “Lauren Rogers Library and Art Museum, Laurel, Ms., water colors, block prints, and pottery”, November 1, 1953, Section 2, p. 1. Sturgis R. Ingersoll, “Henry McCarter”, The 150th Anniversary Exhibition of the Pennsylvania Academy of Fine Arts, 1955, pp. 95-97. Robert J. McKnight, The World of Walter Anderson Traveling Exhibition, The Brooks Memorial Art Gallery, Memphis, Tennessee, 1967. The Ocean Springs Record, “Walter Anderson Art to Smithsonian Institution”, October 5, 1967, p. 1. The Ocean Springs Record, “Anderson Art Tour [Chattanooga-NOLA]”, October 5, 1967, p. 8. The Ocean Springs Record, “Anderson’s paintings to be presented at Brooks Gallery”, January 28, 1971, p. 7. The Ocean Springs Record, “More than 10,000 shipped for safe keeping (to Memphis)”, January 28, 1971, p. 7. The Ocean Springs Record, “Anderson Showing (photo)”, May 3, 1973, p. 7. 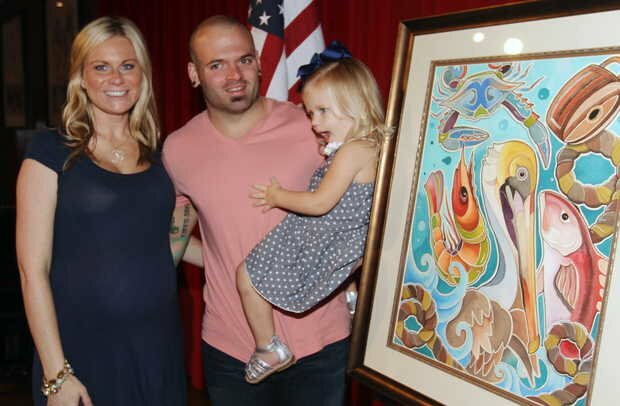 The Ocean Springs Record, “Anderson Paintings to be displayed (Gallery of Central La. Art Association), September 18, 1975, p. 8. The Ocean Springs Record, “La Font Exhibit Features Anderson, Stewart”, March 11, 1976, p. 9. The Ocean Springs Record, “Walter Anderson Opens Saturday”, April 22, 1976, p. 1. The Ocean Springs Record, “Walter Anderson’s artwork ['Sea, Earth, and Sky'] to go on display [State Historical Museum at Jackson]”, July 17, 1980, p. 1. The Ocean Springs Record, “Unique Walter Anderson exhibit set for [509 Washington Avenue] May 24-26", May 22, 1980, p. 2. The Ocean Springs Record, “Jackson Museum Creates Walter Anderson Exhibit”, March 29, 1984, p. 3. The Ocean Springs Record, Anderson art exhibit at Perk (MGCCC at Perkinston, Ms.)”, March 22, 1990, p. 2. The Ocean Springs Record-Independent, “Vanishing Point: The View From Horn Island”, September 21, 2000, p. 20. The Ocean Springs Record-Independent, “Hamlet and Beyond at WAMA”, January 25, 2001. The Ocean Springs Record, “Exhibit designer immerses himself in Anderson”, May 15, 2003, p. B-6. The Sun Herald, “Bogged Down” (“Our Vanishing Heritage: The Harmonious Bog”, 79-piece exhibit at WAMA, May-August 1993), May 23, 1993, p. F-1. The Sun Herald, “WAMA takes art by the Horn”, September 24, 2000, p. H-1. The Sun Herald, “Hamlet drawings going on display”, January 28, 2001, p. G-8. The Sun Herald, “Marquee-‘Branching Out-Visions of Nature’”, February 16, 2002, p. 27. The Sun Herald, “Art Mates-WAMA exhibit brings together artwork from Anderson’s early, later years”, July 21, 2002, p. H-1. The Sun Herald, “World Through His Eyes”, March 2, 2003, p. H-1. The Sun Herald, “Designer’s ‘fresh eye’ puts Anderson cow front, center”, May 12, 2003, p. A-1. The Sun Herald, “Traveling Anderson exhibit to be ambassador for state”, May 14, 2003, p. A-7. Art Gulf Coast, “Art within a family tradition”, Vol. 1, No. 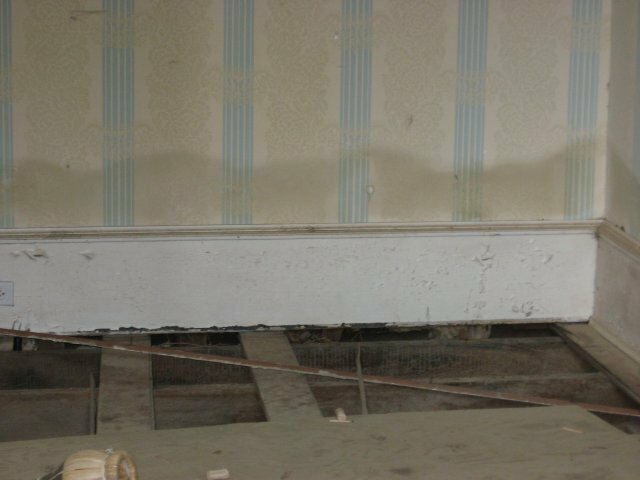 1, (Lagniappe Limited LLC: Biloxi, Mississippi-September 2003. The Sun Herald, “A big ole Mississippi goodbye”, September 1, 2003, p. A-4. The Sun Herald, “Anderson’s impact”, September 21, 2003, p. H-1. The Sun Herald, “Anderson art exhibit opens to the world”, September 25, 2003, p. A-4. The Sun Herald, “Anderson Makes A Splash”, September 26, 2003, p. A-1. The Sun Herald, “Anderson exhibit wows crowds at Smithsonian”, September 26, 2003, p. A-4. Mississippi History News Letter, “Anderson Art at MMA”, October 2003, p. 2. The Ocean Springs Record, “Washington Meets Walter Anderson”, October 2, 2003, p. A1. The Ocean Springs Record, “Anderson goes to Washington”, October 2, 2003, p. B4. The Ocean Springs Record, “Last exhibition weekend fulfilling for WAMA education coordinator”, January 15, 2004, p. B4. The Ocean Springs Record, “Anderson tour exhibit hailed as big success”, January 15, 2004, p. B4. The Ocean Springs Record, “What they’re saying”, January 15, 2004, p. B4. The Sun Herald, “A Print Off The Old Block”, February 6, 2005, p. H-1. The Sun Herald, "Events mark end of Anderson N.O. exhibit", April 13, 2005, p. A2. The Sun Herald, "'Shelter from the storm' ", November 1, 2005, p. B-1. The Ocean Springs Record, “Anderson watercolor finds home at WAMA”, August 3, 2006, p. B5. The Ocean Springs Record, “Anderson art ['Ecstasy: the Mystical Landscapes of Walter Anderson'] hits the road”, March 27, 2008, p. B-8. The Ocean Springs Record, “Coastal artists reflect on Walter Inglis Anderson”, August 13, 2009, p. 1.. The Southern Register, “Library [J.D. Williams Library-University of Mississippi] Exhibition features Walter Anderson”, Summer 2009, (The University of Mississippi: Oxford, Mississippi-2009), p. 15. The Sun Herald, "Reflections of Walter [WAMA]", August ?0, 2009, p. F1. The Sun Herald, "Welcome Home [WAMA]", November 17, 2009, p. C1. Agnes Grinstead Anderson, Approaching The Magic Hour, (University Press of Mississippi: Jackson, Mississippi-1989). Christopher Maurer, Love and Art at Shearwater-Dreaming in Clay on the Coast of Mississippi, (Doubleday: New York-2000). Patricia Pinson, The Art of Walter Anderson, (The University Press of Mississippi: Jackson, Mississippi-2003). Mary Anderson Pickard, Patricia Pinson. with Christopher Maurer, Form and Fantasy-The Block Prints of Walter Anderson, (University Press of Mississippi: Jackson, Mississippi-2007). The Southern Register, “Pedal Pusher-Fragments of Walter Anderson's summer bike ride [Ocean Springs to Chattanooga]”, Summer 2009, (The University of Mississippi: Oxford, Mississippi-2009), p. 17. Hester Bass, The Secret World of Walter Anderson, Candlewick Press: 2009, 48 pages. Donald Muir Bradburn, Last Barriers: Photographs in the Gulf Islands National Seashore, (University Press of Mississippi-Jackson, Misssissippi-2011). The Sixteenth Oxford Conference for the Book, The University of Mississippi Center for the Study of Southern Culture, Oxford, Mississippi March 26, 2009. Walter Anderson Panel: Billy Anderson, John Anderson, Leif Anderson, Mary Anderson Pickard, Patti Carr Black, and Seetha Srinivasan. Christopher Maurer, presenter, and Pat Pinson, commentator, were also present. The Sun Herald, "Walter's art focus of Oxford book conference", March 24, 2009, p. C10. The Sun Herald, "Money in for Anderson documentary", March 13, 2005, p. H-3. The Bay Press, “Maurer explores the life of Walter Anderson”, July 25, 2003. The New York Times, “Celebrating a Gulf Coast Artist”, October 4, 1992, pp. 25-26. The Ocean Springs Record, “The Walter Anderson Studio", August 17, 1967, p. 9. The Ocean Springs Record, “Walter Anderson art to Smithsonian Institute”, January 4, 1968, p. 1. The Ocean Springs Record, “Walter Anderson’s Horn Island logs issued”, August 22, 1974, p. 2. The Ocean Springs Record, “ETV will present half-hour Walter Anderson”, September 22, 1977, p. 1. The Ocean Springs Record, “Anderson illustration in new edition book (Alice’s Adventures in Wonderland)”, December 8, 1983, p. 9. The Ocean Springs Record, “Sissy Anderson to talk about new book”, April 3, 1986, p. 2. The Ocean Springs Record, “Anderson book goes on sale”, June 15, 1989, p. 2. The Ocean Springs Record, “Private world of great artist seen in widow’s memoir”, June 22, 1989. The Ocean Springs Record, “Anderson’s Magic Carpet to premier in Ocean Springs”, August 24, 1989, p. 1. The Ocean Springs Record, “Print Painters [Realizations] experience Anderson’s art up close and personal”, June 26, 2003, p. B6. 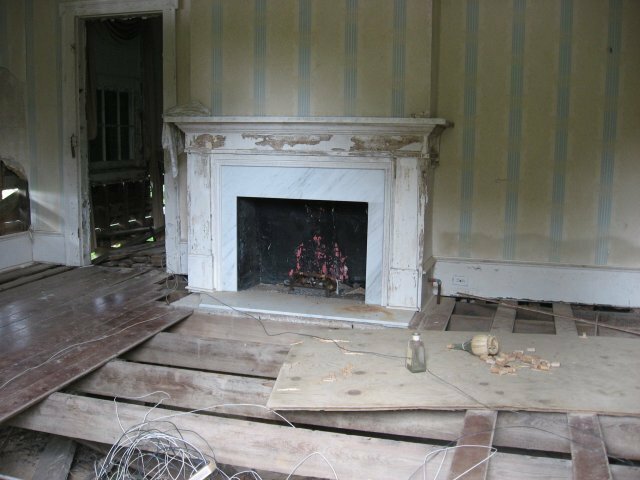 The Ocean Springs Record, “Walter Anderson Art damaged, but restoration is underway", September 15, 2005, p. B4. The Ocean Springs Record, “[Christmas] Ornaments replicate Anderson designs", October 26, 2006, p. B7. The Sun Herald, "Fairy-tale matchup of artist and writer delights reader (The Magic Carpet by Ellen Douglas)”, December 27, 1987, p. F-1. The Sun Herald, “Anderson’s 100th celebrated”, September 30, 2003, p. A2. The Sun Herald, “Anderson’s life on stage in O.S.”, January 4, 2004, p. I1. 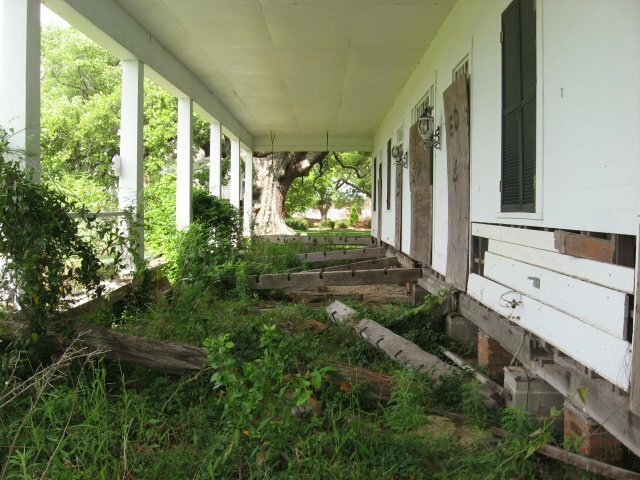 The Sun Herald, "Art communities assess lot" (Hurricane Katrina damage), September 12. 2005, B-5. The Sun Herald, "Anderson artwork could be reinvented from Katrina's ruins", October 9, 2005, p. A17. The Sun Herald, "Fundraiser to save Anderson art (Jackson, Ms.)", November 17, 2005, p. A9. The Sun Herald, "Walter's world restored", March 27, 2009, p. B1. The Sun Herald, "Little Room invokes emotions", March 27, 2009, p. B4. The Sun Herald, "New book takes youngsters into Walter Anderson's offbeat life", September 8, 2009, p. C8. The Sun Herald, "Walter's 'Secret World' wins children's book award", January 23, 2010, p. A9. The Southern Register, “Walter Anderson Symposium”, Spring 2004, (The University of Mississippi: Oxford, Mississippi-2004), p. 5. The Southern Register, “Walter Anderson & World Literature”, Spring 2009, (The University of Mississippi: Oxford, Mississippi-2009), p. 6. The Southern Register, “Walter Anderson Research Collection donated [by Christopher Maurer and Maria Estrella Iglesias] to University library”, Summer 2009, (The University of Mississippi: Oxford, Mississippi-2009), p. 16. The Southern Register, “Library Exhibition features Walter Anderson”, Summer 2009, (The University of Mississippi: Oxford, Mississippi-2009), p. 15. 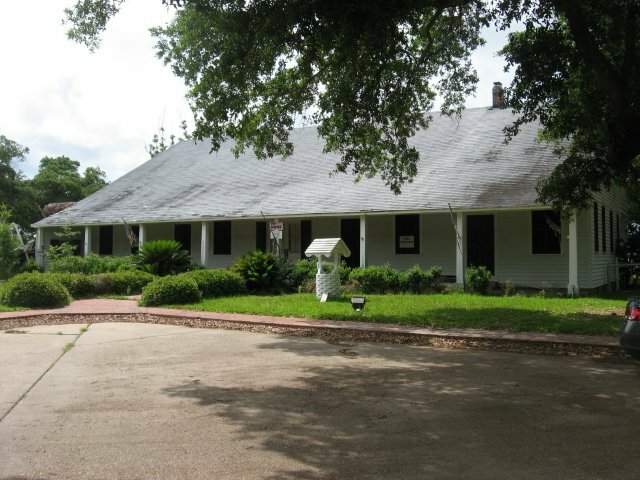 The citizens of Ocean Springs through diligent effort raised funds to build their community center on Washington Avenue in 1950. A.P. 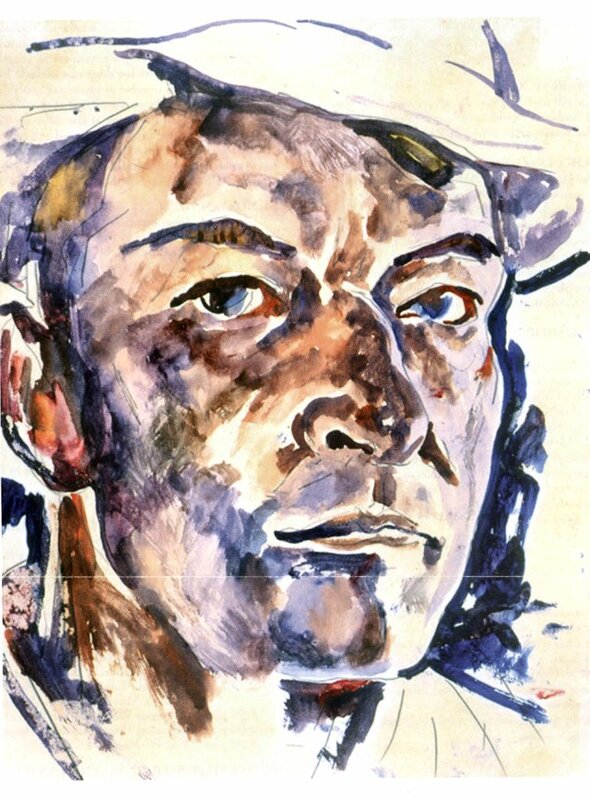 “Fred” Moran (1897-1967) used his influence to thwart some local resistance when Walter Anderson volunteered to paint murals at the center in 1951. Moran supplied some of the paint to Anderson for his endeavor. Prior to his commencement of the murals, Anderson researched the historical theme by studying Gayarre's History of Louisiana, and traveling to the Cabildo archives at New Orleans. His plan was to depict the 1699 landing of Iberville at Ocean Springs on the south wall, and the flora and fauna of the region on the north wall. The murals on the north wall are also referred to as "the seven climates" of the Gulf Coast. Although the murals are painted in oils, he wanted to use fresco, i.e. the technique of painting on fresh plaster with watercolor. Since the contractor used cement to finish the walls, he painted on that rough surface. The murals took over a year to paint (1951-1952), and are over 3000 square feet in area. They were painted primarily in the evening when the artist could work without distraction. A close scrutiny of the Anderson murals reveals they were not completed. 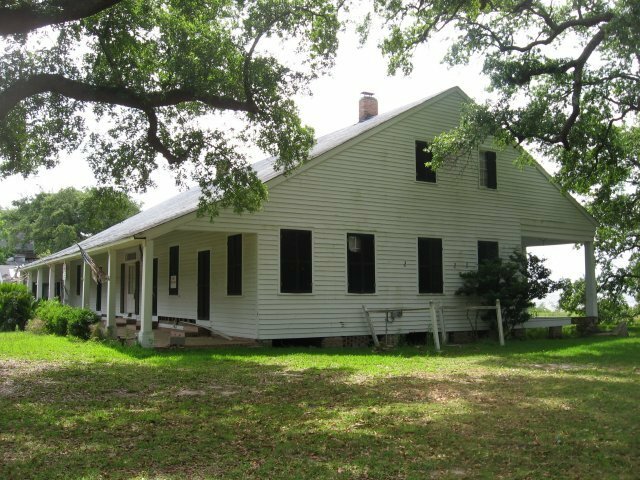 For some unknown reason, Anderson "walked out on the job" in the spring of 1952, and returned to his endeavors on Horn Island. 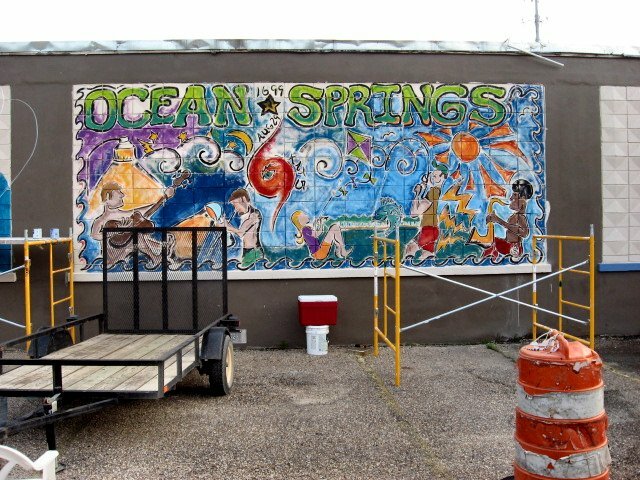 The murals were unprotected until 1974, when the City of Ocean Springs requested the Ocean Springs Art Association to preserve the work. Under the leadership of Eldon Holmquist (1902-1994), OSAA President, preservation consultation and assistance was provided by a New Orleans art conservator who came to Ocean Springs to train and supervise volunteers. The murals were cleaned, touched up by two members of the Anderson family, and varnished after the touch up. In mid-February 2008, John Gill, James Hagan and Matt McDonnell, members of the OS Board of Aldermen, volunteered to serve on an ad hoc committee to discuss the public uses of the Community Center in regards the Walter Anderson murals. Phil Ward, Jeff Wasko, and Stephen Stojcich will represent WAMA at the discussions. In recent months, WAMA officials have been concerned about some of the public activities in the Community Center and the deleterious effects that these actions might have of Anderson's murals valued at $27 million. Alderman Hagan may have set the tone for the future meeting when he said in public that "I have concerns that about the fact that we own the Community Center and we insure the Walter Anderson art but have to follow other people's rules. I have a letter in my hand from people who have rented this building and from their experiences, it reads very bad. I know that there are two sides to every story but it is time to close off the wall at the Community Center and stop letting a private entity dictate to us what to do." The Gulf Coast Times, “Writer in praise of Community Center Murals-a labor of real love”, July 12, 1951, p. 1 and p. 5. The Gulf Coast Times, “Labor of Love by Ocean Springs Own Artist”, November 1, 1953, Section 2, p. 1. The Mississippi Press, “Anderson’s tiger boosts zoo”, August 22, 1993, p. 3-D. The Mississippi Press, “Lack of insurance on murals concerns Springs alderman”, July 7, 2000, p. 1-A. The Mississippi Press, “Renovations ensure that preservation of WA murals for future generations”, January 12, 2011, p. C1. The Ocean Springs Record, “The Priceless Murals”, February 16, 1978, p. 4. The Ocean Springs Record, “Friends of Anderson ask for school murals”, March 19, 1987. The Ocean Springs Record, “Anderson Murals Come to Life”, July 29, 1993, p. 7. 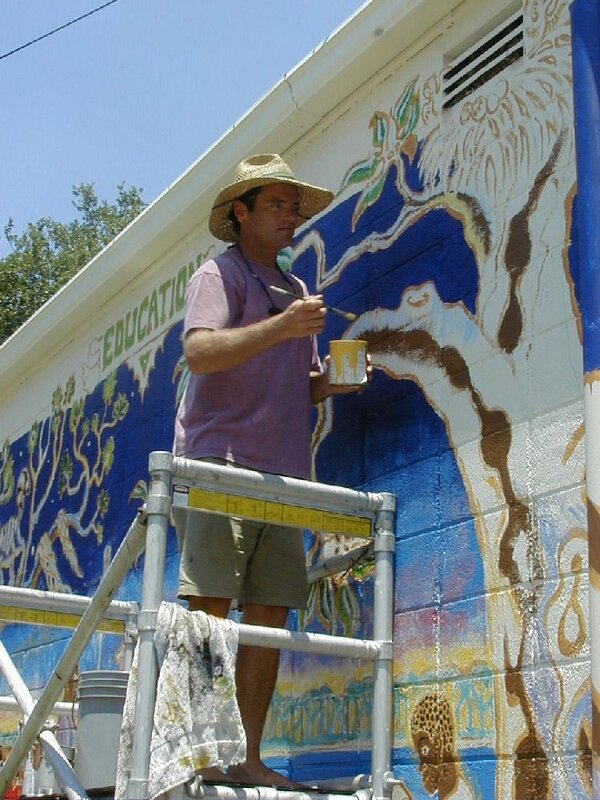 The Ocean Springs Record, “Anderson murals worth a lot of green, September 28, 2000, p. 1. The Ocean Springs Record, “Anderson murals to be preserved", June 1, 2006, p. B5. The Ocean Springs Record, “Mary C. to welcome murals", October 26, 2006, p. A1. The Ocean Springs Record, “Community Center renovations set to begin", December 20, 2007, p. A1. The Ocean Springs Record, “Community Center gets a face-lift", January 17, 2008, p. A1. The Ocean Springs Record, “Public use discussed", January 24, 2008, p. A1. The Ocean Springs Record, “Ad hoc committees formed", February 14, 2008, p. A1. The Ocean Springs Record, “Opinion-'It [OS Community Center] belongs to the people'", February 14, 2008, p. A2. The Ocean Springs Record, "Painted for one dollar and now worth $30 million--"our greatest cultural asset in Ocean Springs", September 23, 2010, p. 1. The Sun Herald, “Anderson murals get the brush off”, November 26, 1978, p. C-1. The Sun Herald, “Question of how to ensure preservation of murals considered”, November 26, 1978, p. C-1. The Sun Herald, “Holmquist remembered as arts museum friend”, November 9, 1994, p. A-2. The Sun Herald, “The Test of Time”, December 17, 1994. The Sun Herald, “A Fortune in Murals Insured for $2000”, July 13, 2000, p. 1. The Sun Herald, “Insurers estimate in work”, August 31, 2000, p. A-2. The Sun Herald, “Aldermen delay mural decision”, September 7, 2000, p. A-3. The Sun Herald, “Anderson mural coverage will cost $8000 a year”, September 21, 2000, pp. A-1 and A-8. The Sun Herald, "Walter Anderson murals will get better protection", August 21, 2005, p. A-10. The Sun Herald, "Anderson murals will be preserved in renovation", December 24, 2007, p. A2. The Sun Herald,"Restoring History", September 20, 2010, p. A1. The Gulf Coast Times, “W.I. Anderson is honord at Brooklyn (Museum)”, May 27, 1949, p. 1. The Ocean Springs Record, “Walter Anderson’s artwork to go on display”, July 17, 1980, p. 1. The Ocean Springs Record, Anderson art exhibit at Perk (MGC Junior College at Perkinston, Ms.)”, March 22, 1990, p. 2. The Sun Herald, “State of the arts", November 20, 2009, p. A-1. The Ocean Springs Record, “Group seeks to preserve artist’s work”, February 13, 1975, p. 1. The Ocean Springs Record, “Friends of Walter Anderson to convene”, February 1, 1979, p. 1. The Ocean Springs Record, “Building Site”, February 28, 1980, p. 22. The Ocean Springs Record, “Friends of Walter Anderson begin drive", May 15, 1986, p. 2. "Ocean Springs: Past and Present”. Walter Anderson painted these murals in 1935 after he received a commission from the Works Progress Administration (1935-1943), a New Deal agency of the Franklin Delano Roosevelt administration (1933-1945). These oil on canvas studies were glued to the plaster walls of the 1927 Ocean Springs Public School auditorium, now the Trent Lott Performing Arts Center, in the Mary C. O’Keefe Cultural on Government Street. They were removed from the building on Government Street by a professional conservator in 1989, and placed on canvas stretchers for presentation in the WAMA. The three paintings on the east wall of the museum galleria depict the Indians of the area at their daily actives of fishing, hunting, and cooking. The three west wall studies portray mundane white man activities such as: feeding chickens, tonging for oysters, and retrieving fishnets. The style for the murals is believed to have been influenced by a visit to the Dordogne River Valley of southwest France in 1928 by the artist. Near the city of Les Eyzies de Tayac in the Department of Dordogne about 75 miles east of Bordeaux, there are Paleolithic caves featuring parietal art depicting animals primarily spotted horses and bison extant at that time. The "Chesty Horse" sculpture is also believed to have been influenced by this visit, the result of winning the Cresson Award, a travel grant, at the Pennsylvania Academy of the Fine Arts, which he attended from 1924-1929. The Daily Herald, “Coast Artists Are Painting Scenes For PWA Art Project”, February 2, 1934, p. 6. The Jackson County Times, “Local artist highly praised by officials (PWA)”, June 9, 1934, p. 1. The Jackson County Times, “An appreciation of the murals in the local high school auditorium (Ruth Dyrud, Dir, of Art, University of Alabama)”, June 9, 1934, p. 3. The Ocean Springs Record, “Friends of Anderson ask for school murals”, March 19, 1987, p. 1. The Ocean Springs Record, “Board (of Aldermen) to consider release of murals”, November 12, 1987, p. 1. The Ocean Springs Record, “Restoration of High School murals (good photos)”, January 18, 1989, p. 9. The Ocean Springs Record, “Restoration of Anderson murals", January 18, 1990, p. 9. The Ocean Springs Record, “Restoration reaches murals”, February 13, 2003, p. 1. The Mississippi Press, “Mural Coming Down”, March 6, 2003, p. 1-A. The Mississippi Press, “Mac Anderson tiles to come down”, March 6, 2003, p. 3-A. The Sun Herald, "They're back home now-mural reproductions shine at Mary C.", November 3, 2006, p. A1. 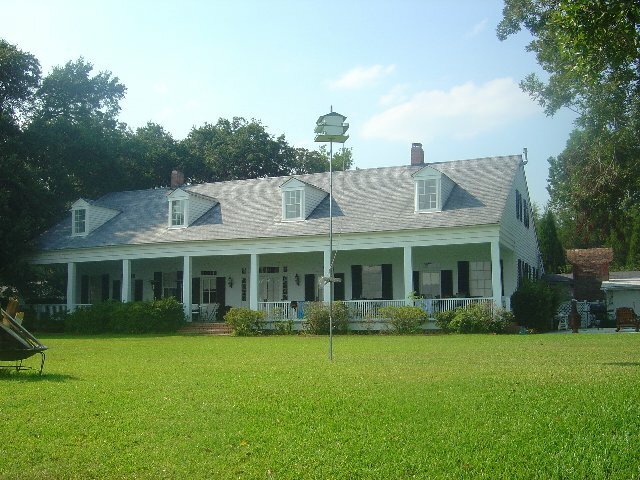 The WAMA began as an idea by a group of people in Ocean Springs and Jackson to preserve the art and culture of Walter Inglis Anderson (1903-1965). 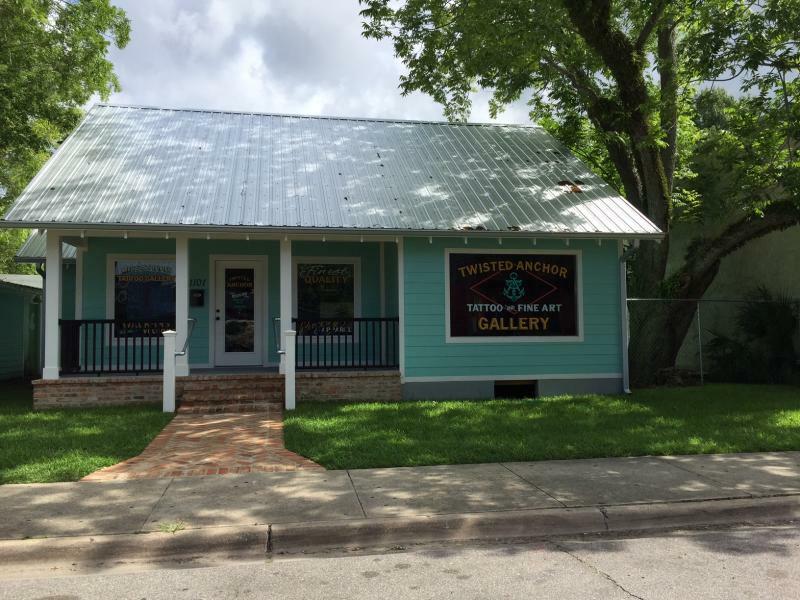 The Friends of Walter Anderson was chartered in 1974, and through their tireless efforts funds and grant money was raised to build the museum on Washington Avenue in Ocean Springs on land leased from Jackson County. The museum was dedicated on May 4, 1991 at a cost estimated at $1.3 million. 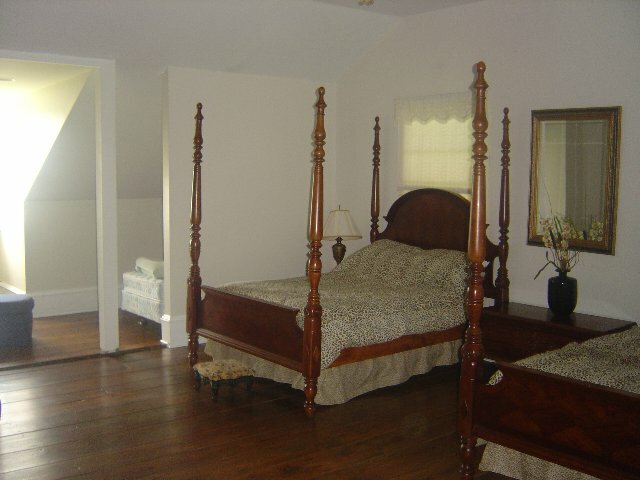 The conceptual architect of the project, Edward Pickard, former husband of Mary Anderson, the eldest child of Walter Anderson, designed the building to keep it in the style of the Shearwater compound, i.e. 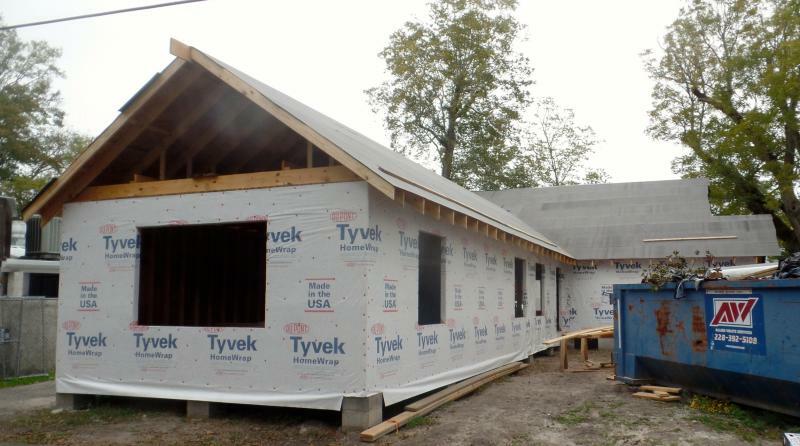 wood structure, tin roof, and open air. After discussion with some of the Anderson Family members, it was decided to combine the public side of Walter Anderson's artwork, the Ocean Springs Community Center Murals, with the private, The Little Room art treasures, which were discovered after his death in 1965. Edward Pickard designed the approximately 7000 square-foot building in association with the architectural firm of Eley & Associate of Jackson, Mississippi. 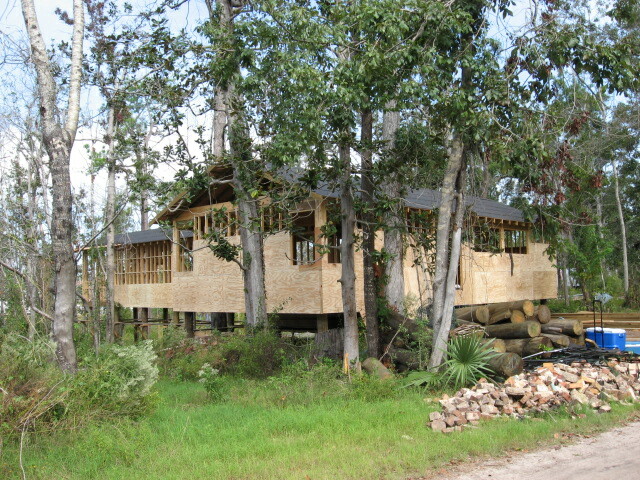 George Hopkins Construction Company of Gulfport and sub-contractors built the structure. Some of the outstanding technical features of the building are its climate control system and security systems. The climate control system keeps the humidity in the building at a constant 55%. Sometimes the cooling and heating systems work in unison; the cooling unit to control the temperature while the heating system dries the air regulating the humidity. The security system features unobtrusive surveillance cameras, high tech motion detection devices tied to a central security system to notify the Police Department, heat and smoke detectors to notify the fire department, and the "hurricane room" or collection vault built to withstand the destruction of the building by a large storm. Ironically, most of the art of Walter Anderson sat for decades around Oldfields and the Shearwater compound with no security or climate control. Now it is housed in a million dollar structure. Mark A. Tullos Jr. left WAMA in 1993 for the The Alexandria [Louisiana] Museum of Art where he was named executive director. In December 2005, he is deputy director of the Paul and Lulu Hilliard University Art Museum at the University of Louisiana in Lafayette, Louisiana. Mark A Tullos, Jr., presently the Interim Director of the Paul and Lulu Hilliard University Art Museum at the University of Louisiana at Lafayette, has served as Director for art museums and visual arts organizations for the past 21 years. Before returning to Louisiana in 2003, he was Executive Director of The Art Center, Waco, Texas and The Robert and Mary Montgomery Armory Art Center, Florida. He has also served as director for other museums in the south including the Alexandria Museum of Art located in Alexandria, Louisiana (Accredited by the AAM). Under his eight-year administration, the Alexandria Museum of Art completed a six million dollar campaign for the expansion of museum facilities and the creation of a larger operations endowment. The new 21,500 sq. ft. facility located in central Louisiana, opened March 7, 1998. Tullos also served as the founding director of the Walter Anderson Museum of Art in Ocean Springs, Mississippi, and the Executive Director of The Museum of East Texas in Lufkin, Texas. Each underwent major capital campaigns and facility expansion under his direction. Tullos has also served as curator and juror for a number of exhibitions of contemporary art over the past two decades. In 1995, he was the recipient of the Nancy Hanks Memorial Award for Professional Excellence given by the American Association of Museums, Washington, DC. The Nancy Hanks Award is designed to recognize one museum professional each year that demonstrates outstanding professional excellence. The award is named after the late chair of the National Endowment for the Arts, (NEA). He has a Bachelor of Fine Arts degree from Louisiana State University, and has conducted graduate studies at Stephen F. Austin State University. In 1999, he completed the intense three-week Museum Management Institute conducted by the Getty on the campus of University of California, Berkeley. He has served as a member of the advisory board for the Museum Loan Network at Massachusetts Institute of Technology, the honors committee of the American Association of Museums (AAM), a panelist for the National Museum Service Board, and a peer reviewer for A.A.M., Institute of Museum and Library Services and the state arts commissions of Louisiana, Mississippi, Texas and Florida. Tullos also is active as a field reviewer for the Accreditation and Museum Assessment programs of the American Association of Museums. In the community, he serves as President of the Lafayette Parish Library Control Board, the Treasurer for the Louisiana Association of Museums and an Elder at Trinity Presbyterian Church in Lafayette. Clayton Bass was born at Clinton, North Carolina in 1952. Mr. Bass arrived at Ocean Springs in the fall of 1996 from Atlanta, Georgia where he was coordinator of exhibitions for the Michael C. Carlos Museum at Emory University to become Director of WAMA. Married Hester Bass. Two children: Anderson Bass and Miranda Bass. Marilyn Lyons was made director of WAMA in 2004? 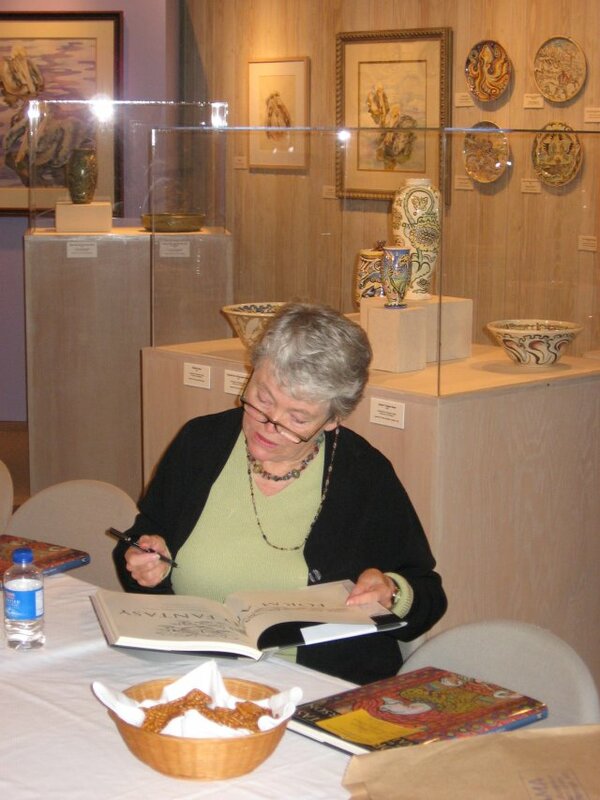 Pat Pinson, curator, resigned in the summer of 2007. She was replaced in October 2007 by Katherine Huntoon who came to WAMA from Virginia Commonwealth University, Norfolk, Virginia. Because of the fame of Rosemary’s father, his edited obituary from The Tulsa World of December 14, 1994 is included and follows: Stuart Allen Roosa, a former astronaut who was reared in Claremore, Oklahoma, died Monday in Fairfax, Virginia. He was 61 years of age. Services are scheduled for 9:45 a.m. Thursday at Arlington (Virginia.) National Cemetery, under the direction of Arlington Funeral Home. Roosa died from complications of pancreatitis. Born in Durango, Colorado, Roosa graduated from Claremore High School in 1951. He attended Oklahoma State University, the University of Arizona and the University of Colorado, where he graduated with honors. Roosa was a firefighter for the U.S. Forest Service and later attended the Aerospace Test Pilots School. He was an experimental test pilot at Edwards Air Force Base in California and became an astronaut in 1966. In January 1971, Roosa became the command module pilot for the Apollo 14 mission. While his crewmates, Alan Shepard and Edgar Mitchell, spent 33 hours on the moon, he remained in lunar orbit, taking pictures and observing the moon and stars. He also served as the backup command pilot for Apollo 16 and Apollo 17. Roosa retired from the Air Force and the National Aeronautics and Space Administration with the rank of Colonel in 1976 and became the vice president of U.S. Industries Inc. He was the president of USI Middle East Development Co. in Athens in 1976 and 1977. In May 1981, Roosa became the proprietor of Gulf Coast Coors Inc. at Gulfport, Mississippi. Roosa was a member of the Association of Space Explorers, the Confederate Air Force, the Circumnavigators Club and the Society of Experimental Test Pilots. He received the NASA Distinguished Service Medal, the Air Force Command Pilot Astronaut Wings, the Air Force Distinguished Service Medal and the Johnson Space Center Superior Achievement Award. Colonel Roosa is survived by his wife, Joan, of Gulfport, Mississippi; three sons, Christopher Roosa (b. 1959), of Washington, D.C., John ‘Jack’ Roosa (b. 1971), of Las Vegas, Nevada, and Stuart Allen Roosa Jr. (b. 1962), of Boca Raton, Florida; a daughter, Rosemary Roosa of Gulfport, Mississippi; and two granddaughters. After graduation from Newcomb-Tulane, Rosemary joined the staff of Senator Trent Lott in Washington, D.C. Rosemary became associated with her father at Gulfport in 1988 to manage his Coors distributorship. The business was later sold in a consolidation. Ms. Roosa is a world traveler having been to about fifty-two countries and every continent except Antarctica. She is a trophy hunter who has pursued game in Zimbabwe and New Zealand. Rosemary relates that hunting is a family tradition. Stuart A. Roosa, her father, gave his bride a gun, hunting boots, and a down jacket for their first wedding anniversary! The Walter Anderson Museum of Art (WAMA) is pleased to announce Julian Rankin as its new Executive Director effective October 15, 2018. Rankin joins WAMA by way of the state capital of Jackson, where he most recently served as the founding director of the Center for Art & Public Exchange at the Mississippi Museum of Art. Rankin was raised in the Mississippi Delta and in Oxford, Mississippi. He is a graduate of the University of North Carolina at Chapel Hill, with a degree in English and Creative Writing. His professional background includes marketing and operations internships at CNN headquarters in Atlanta and in the Washington, D.C. office of former United States Senator Thad Cochran. 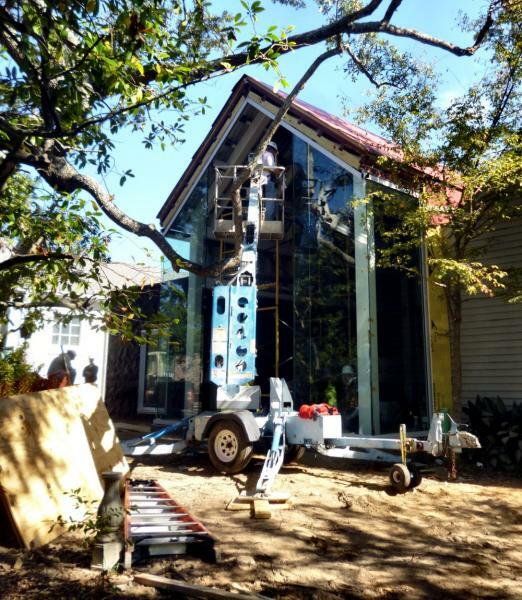 Rankin is the recipient of the Southern Foodways Alliance’s first annual residency at Rivendell Writers Colony. 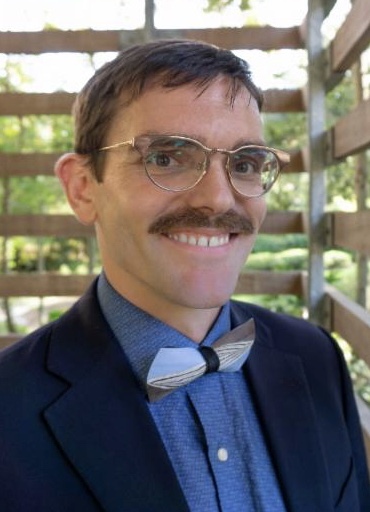 He is the author of the 2018 book, Catfish Dream: Ed Scott’s Fight for his Family Farm and Racial Justice in the Mississippi Delta, published by the University of Georgia Press as part of the Southern Foodways Alliance Studies in Culture, People, and Place series. For the past eight years, he has held communications, community engagement, and leadership positions at the Mississippi Museum of Art under the guidance of Director Betsy Bradley. Rankin makes the move to Ocean Springs with his wife Caroline and son Julian. 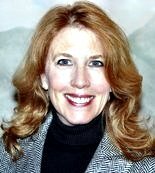 Rankin joins WAMA at a time of increased energy and momentum. The museum has embarked on a strategic planning process that will set forth a new vision for interdisciplinary partnerships with cultural organizations, non-arts entities, and public institutions; innovations in visitor-centered museum practice and arts education; and deep collaboration with practicing artists, community stakeholders, and the Anderson family, who continue to give life to WAMA’s mission. As his first act as Executive Director, Rankin will journey to Horn Island, the barrier clime that held such mystery and inspiration for Walter Anderson. 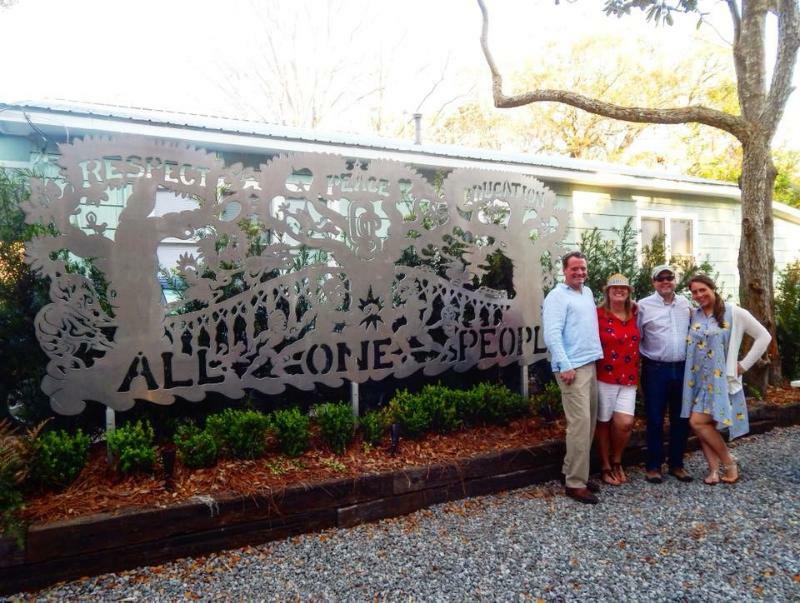 "Our family is particularly pleased that Julian Rankin will be starting his directorship of The Walter Anderson Museum of Art with a three-day camping trip on Horn Island,” said John Anderson, son of Walter Anderson and family representative. “He will be the first director to begin his leadership by seeking inspiration and vision on an extended trip to the wilderness island that Walter Anderson loved. By looking at the world through his eyes and walking in his footprints on Horn Island, Julian will take the perspective of a man who believed that, 'In order to realize the beauty of mankind we must realize our relation to nature.' On Horn Island he will see the astonishing beauty that confronts us when we look from nature rather than at it, when we become a part of nature rather than apart from nature. Our family gladly offers him encouragement, support and appreciation." The Claremore Progress [Oklahoma], ‘Daniel Dewey Roosa’, March 28, 2008. The Ocean Springs Record, “Museum of art hires executive director”, November 1, 1990. The Ocean Springs Record, “A capital idea [photo of Tullos]”, October 1, 1992, p. 3. The Ocean Springs Record, “Museum impact felt during first two years”, May 6, 1993. 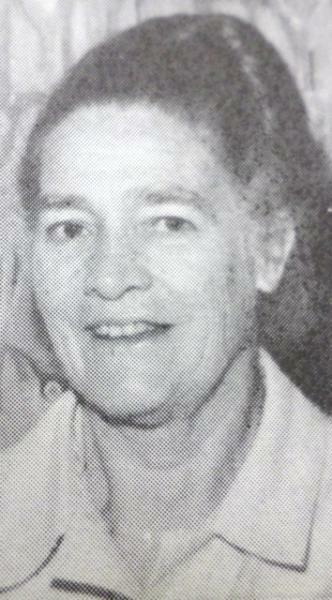 The Ocean Springs Record, “Museum’s new head [Letitia Galbraith] forsees evolution”, August 5, 1993. 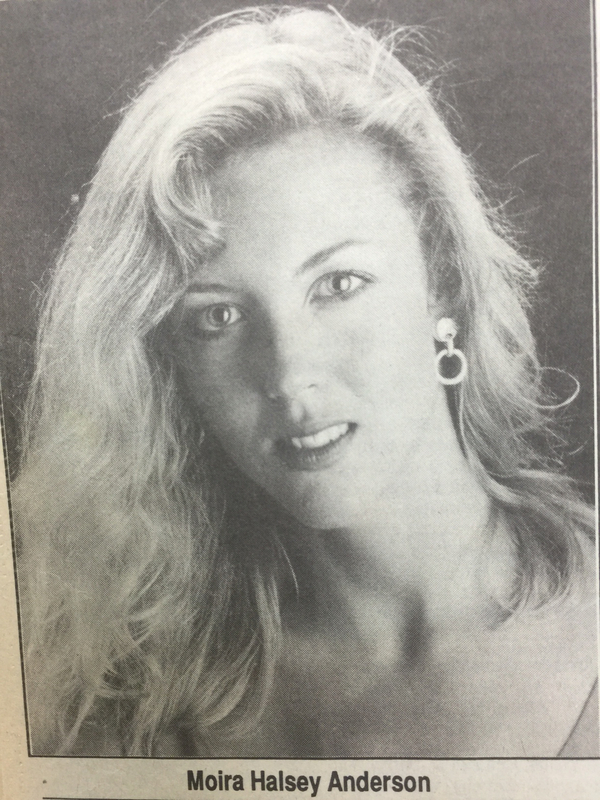 The Ocean Springs Record, "Emily [Letitia Galbraith photo]", December 28, 1995, p. 6. The Ocean Springs Record,"Bass to leave WAMA", October 2, 2002. The Ocean Springs Record, "Lucky Lady [Hester Bass], November 14, 2002. 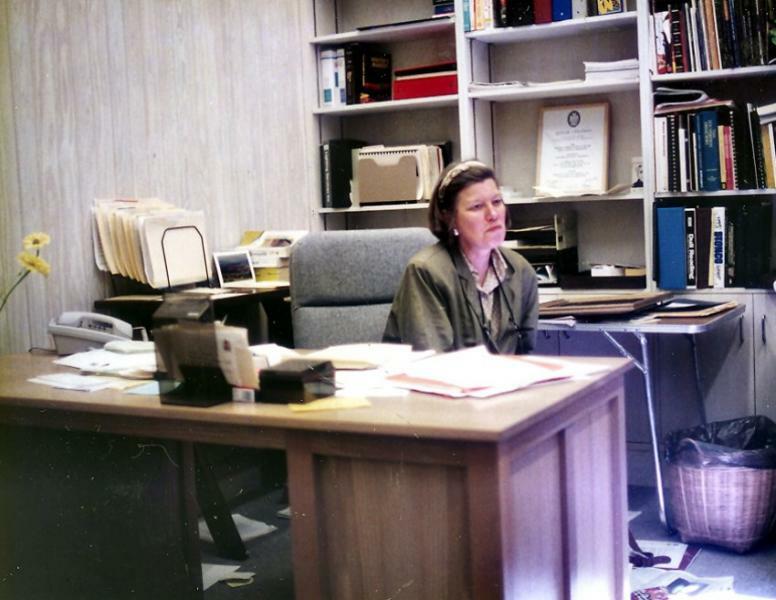 The Ocean Springs Record, "WAMA names interim director [Marilyn Lyons], November 28, 2002. The Ocean Springs Record, "WAMA reunites new director [Gayle Petty-Johnson] with love of art", November 24, 2005, p. B4. The Ocean Springs Record, "When small is big [Petty-Johnson]", April 10, 2008, p. A7. The Ocean Springs Record, "Petty-Johnson will leave Walter Anderson Museum", November 27, 2008, p. A12. The Ocean Springs Record, "WAMA director faces lawsuit", July 2, 2009, p. 1. The Sun Herald, ‘ Jackson County’, “A job fit for a fan”, December 14, 1996, p. 1. The Sun Herald, “Bass to leave WAMA for Huntsville”, October 2002, p. A-2. The Sun Herald, “Ex-employee [Dennis C. Walker] sues WAMA director”, June 25, 2009, p. A-1. The Sun Herald, “Owner [Missy Cote'] wants back pottery loaned to WAMA”, June 26, 2009, p. A-5. 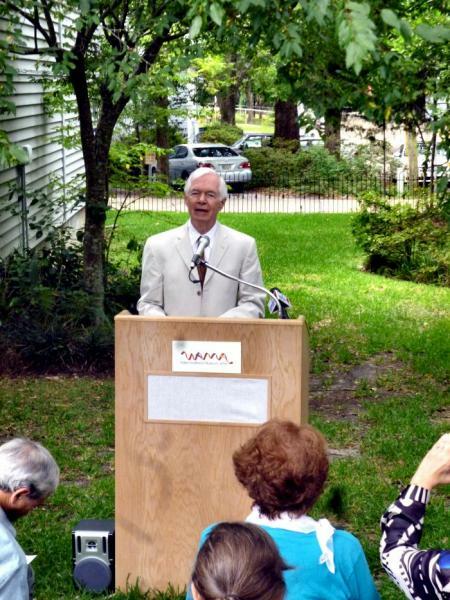 The Sun Herald, “New WAMA [interim] director to meet public at open house", December 13, 2009, p. F1. The Ocean Springs Gazette, “The Walter Anderson Museum of Art to participate in Blue Star Museums", June 2, 2010, p. 5. The Ocean Springs Record “WAMA receives $35,000 donation", June 3, 2010, p. 3. The Ocean Springs Record, "WAMA director essential part of pivotal programs", October 7, 2010. The Ocean Springs Record, "Ocean Springs is a city defined and identified by Walter Anderson, his family, and the Museum created almost 20 years ago", October 7, 2010, p. 3. The Sun Herald, "WAMA director resigns to be with family", July 13, 2012, p. A2. The Sun Herald, "Roosa named executive director of WAMA", February 1, 2013, p. A5. The Sun Herald, "Rosemary Roosa takes helm of Walter Anderson Museum of Art", February 17, 2013, p. F1. The Ocean Springs Gazette, “Roosa named permanent WAMA director”, February 14, 2013, p. 3. The Daily Herald, “Anderson museum planned”, February 11, 1979. The Daily Herald, “Walter Anderson Museum land sought”, June 18, 1985, p. B-2. The Ocean Springs Record, “City gives to museum”, January 5, 1989, p. 1. The Ocean Springs Record, “$ 1 million fundraiser for art museum begins”, January 19, 1989, p. 1. The Mississippi Press, “$1 million campaign kick off”, January 15, 1989, p. 1. The Ocean Springs Record, “Coast Leaders Join Museum Fundraiser”, February 9, 1989, p. 1. The Ocean Springs Record, “A home for the Islander in sight”, August 3, 1989, p. 1. The Sun Herald, “Committee opens bids for Walter Anderson Museum”, February 2, 1990, p. B-1. The Ocean Springs Record, “WAMA underway”, April 12, 1990, p. 1. The Ocean Springs Record, “Museum of art hires executive director [Mark Tullos]”, November 1, 1990. The Sun Herald, “The Big day has finally arrived”, May 4, 1991, p. 1. The Weekly Northside Sun (Jackson, Ms.), “Eley (Jim Eley, architect) captures aura of artist’s studio”, May 23, 1991, p. 1. The Ocean Springs Record, “WA Museum wins award for poster", January 2, 1992, p. 9. The Ocean Springs Record, “Walter Anderson Museum to celebrate 2nd anniversary", April 29, 1993, p. 12. The Ocean Springs Record, “Museum Impact Felt During First Two Years”, May 6, 1993, p. 1. The Ocean Springs Record, “Museum’s new head (Letitia Galbraith) foresees evolution”, August 5, 1993. p. 1. The Ocean Springs Record, “Walter Anderson Museum to sponsor tour", February 24, 1994, p. 21. The Ocean Springs Record, “Walter Anderson Museum to celebrate 3rd anniversary", May 5, 1994, p. 6. The Ocean Springs Record, “Museum brings family of artists' work together", September 14, 1995, p. 1. The Ocean Springs Record, “WAMA pays off Education house", November 2, 1995, p. 1. AAA World, “Museum tells story of Artist’s life”, November/December 1994.
he Ocean Springs Record, “[Museum] Art store to hold grand opening", November 20, 1997, p. 6. The Mississippi Press, “Lack of Insurance on Mural Concerns Springs Alderman”, July 7, 2000, p. A-1. The Ocean Springs Record, “WAMA celebrates milestone, April 27, 2000, p. 12. The Sun Herald, “Family wants art’s coverage raised”, August 7, 2000, p. A-2. The Sun Herald, “WAMA takes art by the Horn", September 24, 2000, p. H-1. The Ocean Springs Record, “WAMA launches shopformuseums.com", June 7, 2001, p. 12. The Sun Herald, “Anderson refines art of galas”, April 22, 2001, p. A-1. The Sun Herald, “Anderson gala glitters, glows”, April 22, 2001, p. A-2. The Ocean Springs Record, "Bass to leave WAMA", October 2, 2002, p. A-1. The Ocean Springs Record, "WAMA junior guild makes plans", October 31, 2002, p. B-5. The Sun Herald, “Bass to leave WAMA for Huntsville”, October 2002, p. A-2.. The Sun Herald, “Auction features unique birdhouses-23rd Annual Peter Anderson Memorial Arts, Crafts and Food Festival (insert)”, October 30, 2002, p. 10.
he Sun Herald, “Anderson pottery to travel”, November 5, 2002, p. A-1. The Sun Herald, “Picturing Walter’s Island”, January 5, 2003. The Sun Herald, “Designer's 'fresh eye' puts Anderson cow front. center", May 12, 2003, p. A1. The Ocean Springs Record, “WAMA gathers contingent for trek to Smithsonian”. May 15, 2003, p. B-6. The Sun Herald, “Pottery symposium links, Ohr, Newcomb, Shearwater”, September 7, 2003, p. H-1. The Ocean Springs Record, “Guay’s love of art comes full circle in working with WAMA”, January 1, 2004, p. B4. The Ocean Springs Record, “WAMA is state’s top tourist draw”, February 10, 2004, p. A-8. The Ocean Springs Record, “WAMA wins top state tourism award”, February 19. 2004, p. B5. The Sun Herald, “Planning pays off for O. S. museum”, August 12, 2004, p. A5. The Ocean Springs Record, “City talks center sale to museum”, September 9, 2004, p. A1. The Ocean Springs Record, “Museum gets ‘lost’ pieces of Anderson art”, December 9, 2004, p. A1. The Sun Herald, "Southern Living loves Ship Island, WAMA", April 8, 2005, p. A6. The Ocean Springs Record, "WAMA reunites new director with love of art", November 24, 2005, p. B4. The Ocean Springs Record, "WAMA honors volunteers, puts call out for more", December 15, 2005. p. B5. The Ocean Springs Record, "Gala to celebrate 15 years", February 23, 2006, p. B5. The Sun Herald, "Jo Love Little (1936-2006)", April 4, 2006, p. A4. The Sun Herald, "It is hard to be needy", April 7, 2006, p. A1. The Sun Herald, "Marquee",'Come on down to the REVIVAL [Gala XVI]'" April 7, 2006, p. 4. The Ocean Springs Record, "WAMA to celebrate 15th birthday", May 4, 2006, p. B7. The Ocean Springs Record, "WAMA to present Shearwater collection", May 4, 2006, p. B7. The Ocean Springs Record, "WAMA celebrates 15 years with cake and ice cream", May 11, 2006, p. B7. The Sun Herald, "Sharing Shearwater", May 16, 2006, p. B1. The Sun Herald, "Open For Ohr", October 29, 2006, p. F1. The Sun Herald, "WAMA lecture examines architectural similarities", October 29, 2006, p. F4. The Ocean Springs Record, "Surrounded by Art [Elizabeth Feder]", February 15, 2007, p. B4. The Ocean Springs Record, "Funding for WAMA", July 17, 2008, p. A8. The Sun Herald, "Museum plans $6M expansion", September 4, 2008, p. A5. The Sun Herald, “Ex-employee sues WAMA director”, June 25, 2009, p. A-1. The Gazette, “The Walter Anderson Museum of Art to participate in Blue Star Museums", June 2, 2010, p. 5. The Ocean Springs Record, "Creating the Secret World of Walter Anderson on display at WAMA", September 16, 2010, p. 1. The Sun Herald, "Museum [WAMA] hires development director [Ilian Yotov]", December 10, 2008, p. A8. 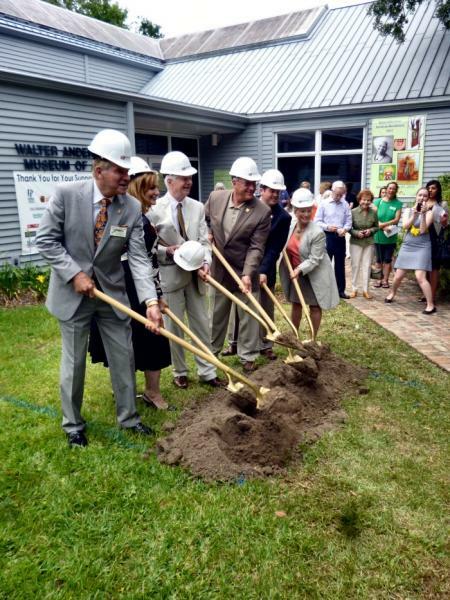 The Sun Herald, "Walter Anderson Museum plans to expand", December 11, 2010, p. A5. The Ocean Springs Record, "WAMA proposes a Unique 'Cultural Passport to the Arts", January 27, 2011, p. 1. The Sun Herald, "WAMA moves closer to expansion reality", September 24, 2011, p. A5. The Sun Herald, "WAMA Jama kicks off anniversary", October 15, 2011, p. A10. The Sun Herald, "Kids, adults celebrate WAMA's 20th anniversary", October 16, 2011, p. A2. 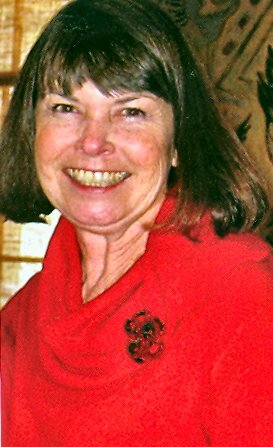 The Ocean Springs Gazette, "Dora Ladd: 2011 WAMA Volunteer of the Year", December 30, 2011, p. 3. The Ocean Springs Gazette, "WAMA to install cell phone tour guide option", January 6, 2012, p. 9. 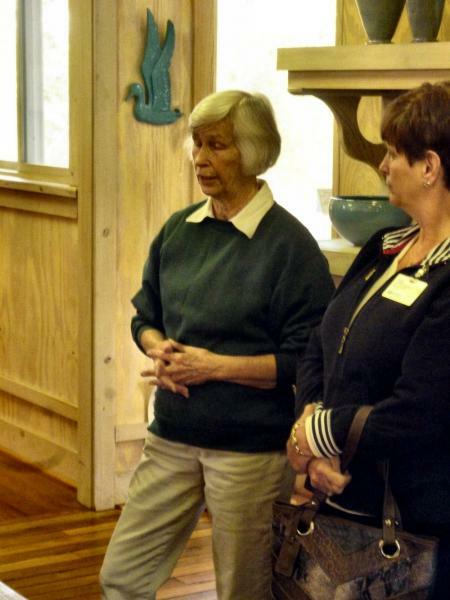 The Sun Herald, The Sun Herald, "Lifelong learing programs coming to WAMA", March 6, 2012, p. B6. "", 2012, p. A5. The Sun Herald, "WAMA expansion will break ground today", July 6, 2012, p. A1. 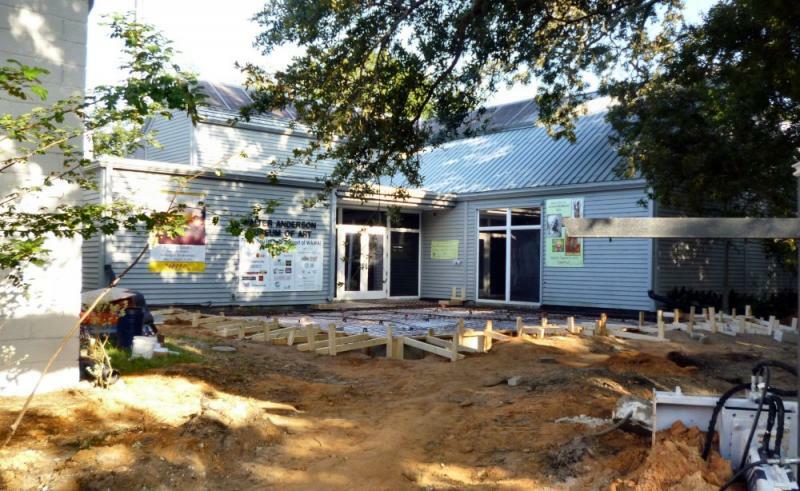 The Sun Herald, "As shovels turn, museum begins 1st phase of expansion", July 7, 2012, p. A1. The Ocean Springs Gazette, "New WAMA gallery to be named in honor of Guices", February 7, 2013, p. A6. The Ocean Springs Gazette, "WAMA to cut ribbon on expansion project", February 7, 2013, p. A6. The Sun Herald, "Change of Art", February 16, 2013, p. A1. The Mississippi Press, "Museum celebrates expansion", February 17, 2013, p. M1. Jackson County, Mississippi Chancery Court Cause No. 4077, “W.W. Grinstead v. Hull House Association of Chicago”, November 1920. Jackson County, Mississippi Chancery Court Cause No. 10,379, “Will of W.W. Grinstead”. The History of Jackson County, Mississippi (1989), “Hellmuth-Grinstead Family”, pp. 234-235. The Daily Herald, "Anderson birth [born December 4, 1951 at Biloxi Hospital]", December 7, 1951, p. 7. The Sun Herald, "Clothing shop [Realizations] keeps Anderson art alive", June 25, 1988, p. E4. The Ocean Springs Record, "Ashley-Ellison", April 8, 1993, p. 7. The Ocean Springs Record, “Two Win Merit Scholarships”, August 9, 1990, p. 2. The Mississippi Press, “The Ocean Springs Press”-“Philipoff finds calling while in Japan”, June 30, 2004, p. 1. The Gazette-Record, 'Legacy of Shearwater Pottery celebrated', September 6, 2018. The Ocean Springs Record, "Cousins team up to build Shearwater", October 10, 2005, p. B7. The Biloxi-D'Iberville Press, "Peter Anderson visits art class at SMHS", May 6, 2010, p. 9. The Ocean Springs Record, "Art Festival T-shirt", October 30, 1986, p. 7. Garden & Gun, Shear Beauty", June-July 2009, pp. 40-41. The Ocean Springs Record, “Anderson awarded scholarship [to Newcomb College]”, July 7, 1983, p. 18. The Ocean Springs Record, “Ingalls employee’s son earns scholarship”, May 10, 1990, p. 1. The Ocean Springs Record, “[Alice Christine] Chaney-Ashley”, August 3, 2000, p. 13. Art Gulf Coast, “Art within a family tradition”, Vol. 1, No. 1, (Lagniappe Limited LLC: Biloxi, Mississippi-September 2003). The Bay Press, “Sekul and Stebley’s creative collaboration”, October 17, 2003, p. 1. The Gazette, "The Anderson behind the logo", November 3, 2010, p. 1. The Gazette-Record, "Original design by Stebly to raise funds by WAMA", September, 2018, p. 10. The Mississippi Press, “Springs artist to paint outdoor mural”, February 24, 1999, p. A-1. 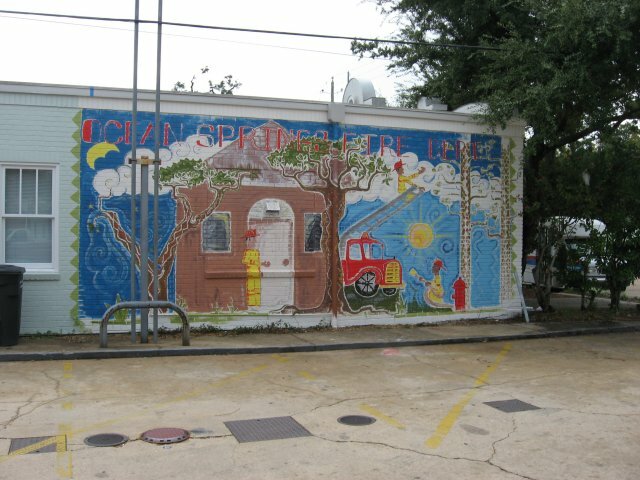 The Mississippi Press, 'Ocean Springs Press', “Springs' mural dedication delayed", July 2, 1999, p. 1. The Mississippi Press, “Ocean Springs students making mural”, October 22, 2001, p. 1-A. The Ocean Springs Record, “Shearwater Celebration” (photo), November 2, 1978, p. 1. The Ocean Springs Record, “Wall Star", August 26, 1999, p. 1. 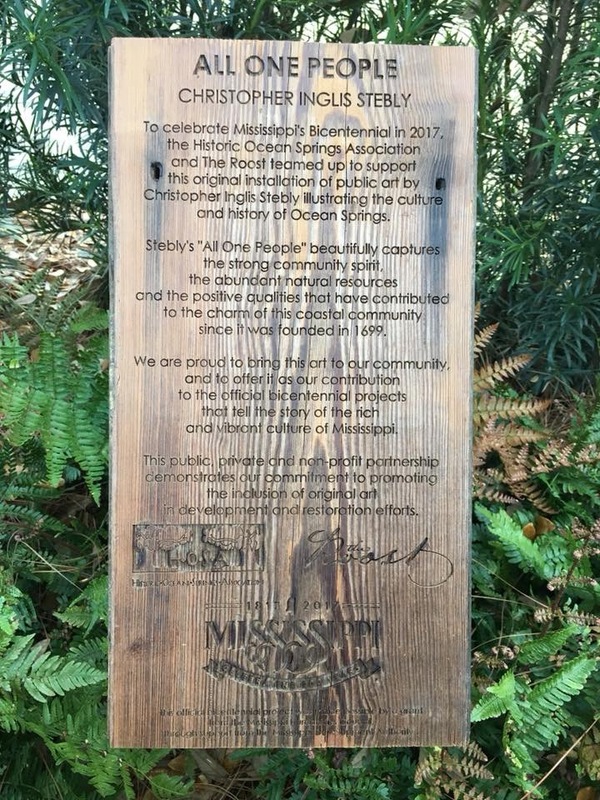 The Ocean Springs Record, "Stebly's Ocean Springs mural dedication held", September 9, 1999, p. 7. The Ocean Springs Record, “Local artist to finally get gallery to call his own”, February 6, 2003, p. A-8. 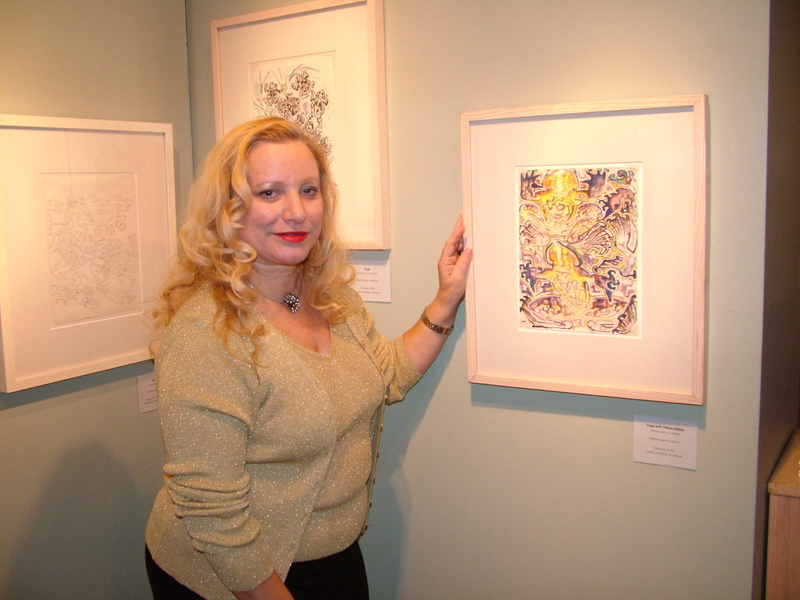 The Ocean Springs Record, “[Liz] Hermann sees art from many perspectives”, August 14, 2003, p. B-8. The Ocean Springs Record, “Stebly exhibition to join Cafe' Night", October 18, 2007, p. A12. Southern Living, “The Art of Ocean Springs”, September 2000, p. 28. The Sun Herald, “Stebly will paint mural”, February 24, 1999, p. A-7. The Sun Herald, 'Jackson County'-“Hand-painted on the wall", May 1, 1999, p. 1. The Sun Herald, "'Local Son' keeps family tradition alive", October 30, 2007, p. B-8. The Sun Herald, "Ink and Oil", August 1, 2010, p. F-1. The Sun Herald, "The Art of Travel", May 18, 2014, p. F-1. Born 23 June 1987 at South Alabama Children's and Women's Hospital in Mobile, Alabama to John Mark Stebly (b. 1961) and Terri Jeane Ello (b. 1957). Graduated Ocean Springs High School 2006 where he played offensive guard on the football squad.. Attended Millsaps College at Jackson, Mississippi in the fall of 2006. Matthew dropped out of college, but continued his pursuit to be an artist. He began throwing pottery circa 2009 and became a tatoo artist circa 2010. In August 2011, the Biloxi Chamber of Commerce chose Matt's entry as the 30th Annual Biloxi Seafood Festival poster. Matt was competing with fourteen other local artists. The Biloxi fete was held on the Biloxi Town Green on September 10th and 11th, 2011.
north elevation-November 2015; south elevation March 2016; and June 20, 2016. 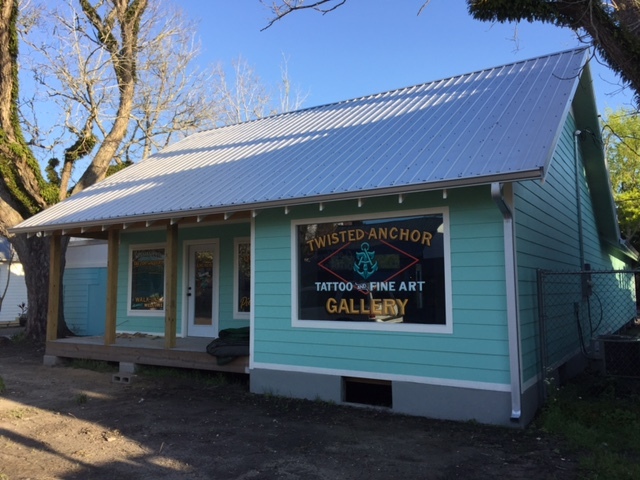 The Twisted Anchor opened on April 21, 2016. The Ocean Springs Record, "An art of his own-Stebly's work combination of tradition, innovation", July 13, 2006, p. B4. The Ocean Springs Record, "Post impressions", July 13, 2006, p. B4. The Ocean Springs Record, "from adversity---to Art", August 10, 2006, p. B4. The Ocean Springs Record, "Planning Commission attacks City employee, rebukes tattoos", April 16, 2015, p. 1. The Ocean Springs Record, "Aldermen vow to update Tatoo Ordinance", May 7, 2015, p. 1. The Sun Herald, "Stebly's art selected for Seafood Festival poster", August 3, 2011, p. A5. The Sun Herald, "Best poster for Seafood Festival [2nd consecutive year to win]", July 19, 2012, p. A1. The Ocean Springs Record, "Stebly featured in Tatoo magazine", May 30, 2013, p. A1. 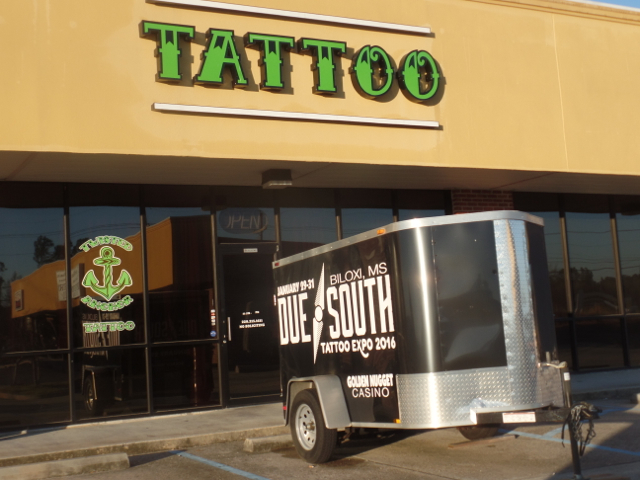 The Sun Herald, "Walter Anderson's great-grandson opens tattoo shop in Ocean Springs", October 19, 2013. The Sun Herald, "Putting your inking cap on", October 20, 2013, p. B10. The Sun Herald, "Vancleave woman is pretty in ink", October 20, 2013, p. A11. The Sun Herald, "More than just lines", December 4, 2014, p. A-1. The Sun Herald, "Poster boy for Coast art [5th consecutive year for Biloxi Seafood Festival poster]", July 24, 2015, p. A-2. 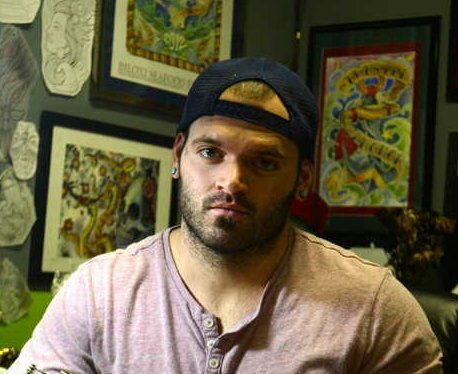 The Ocean Springs Record, "Aldermen vow to update tattoo ordinance", May 7, 2015, p. 1. The Sun Herald, 'Twisted Anchor to open on Thursday', April 18, 2016. Born in 1990 to John Mark Stebly (b. 1961) and Terri Jeane Ello (b. 1957). Crowned 'Shrimp Queen' pf the 79th annual Biloxi Blessing of the Fleet on May 31, 2008. The Biloxi-D'Iberville Press, "Queen crowned and fais do-do returns", June 5, 2008, p. A-12.